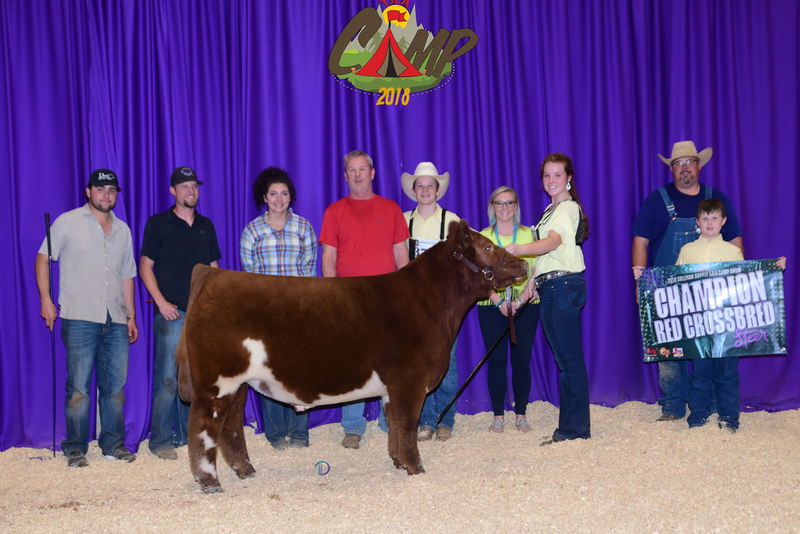 Success is not measured by the price of the high selling calf, rather the results of that calf! 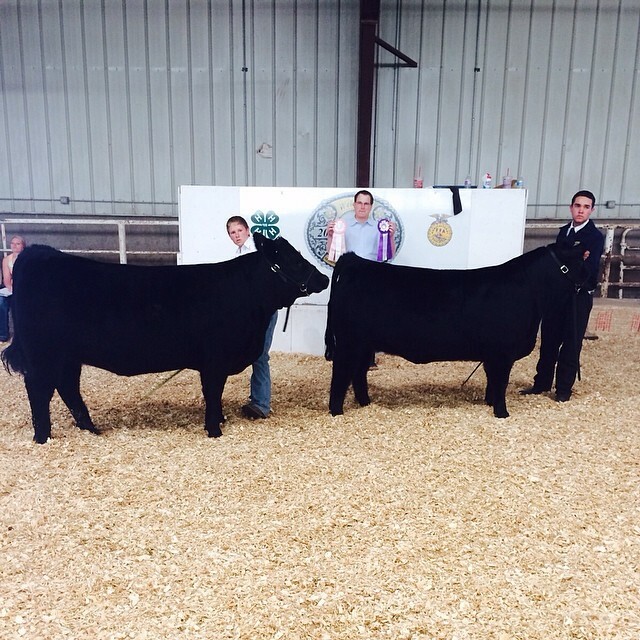 We pride ourselves in raising cattle that are competitive in the show ring. 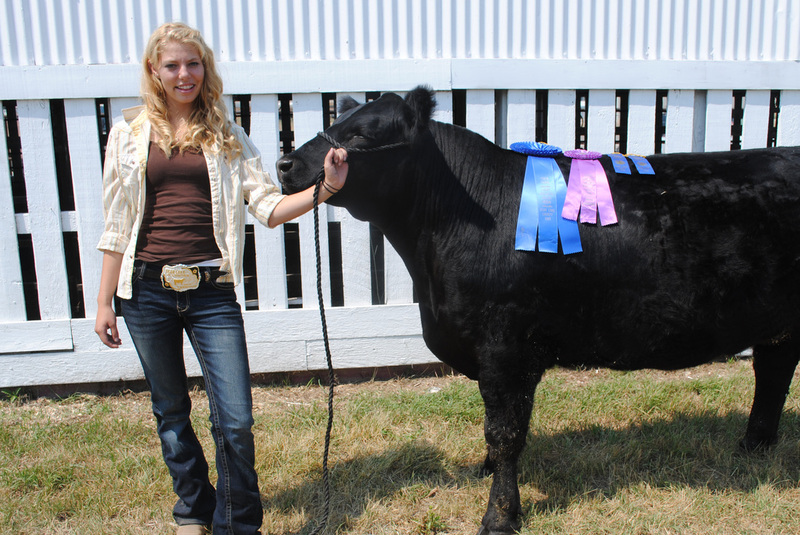 Over the years, 89% of calves sold have been 5th place or higher in their respective shows. 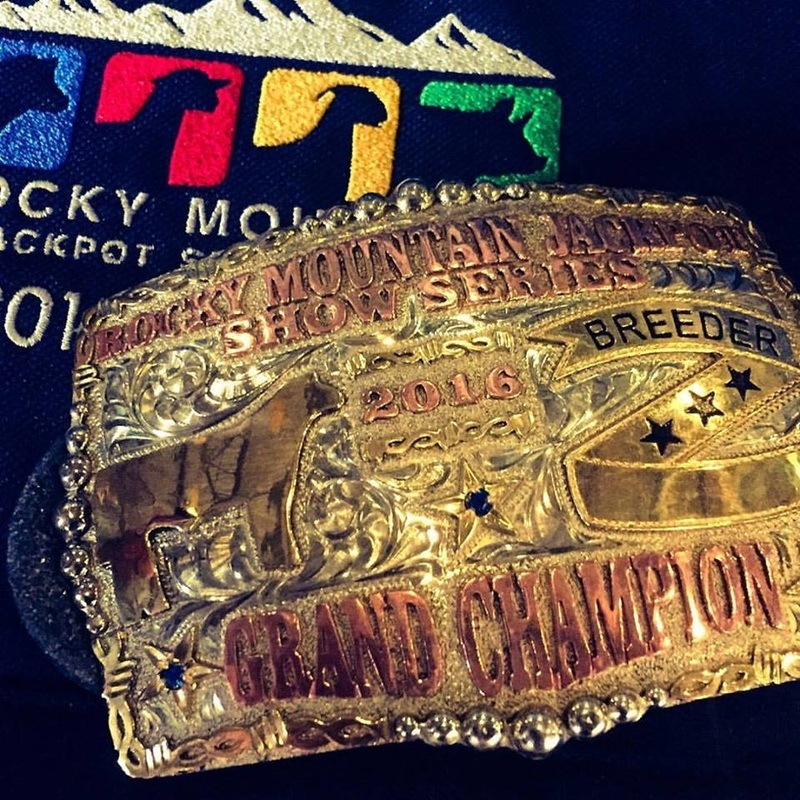 Out of 30 calves on average each year, there has been on average 20 Grand or Reserve Champion Titles. We feel we are building a tradition of success, one show at a time. 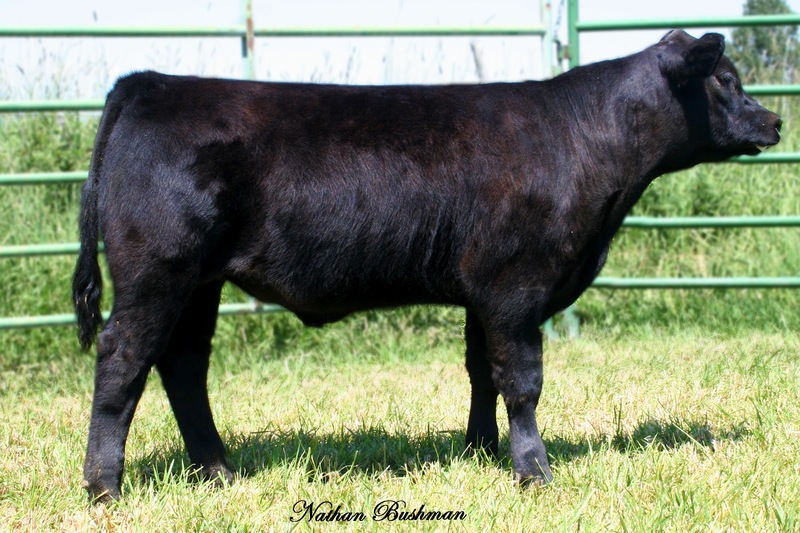 Become a part of that success and purchase a Bushman Cattle Company Calf. 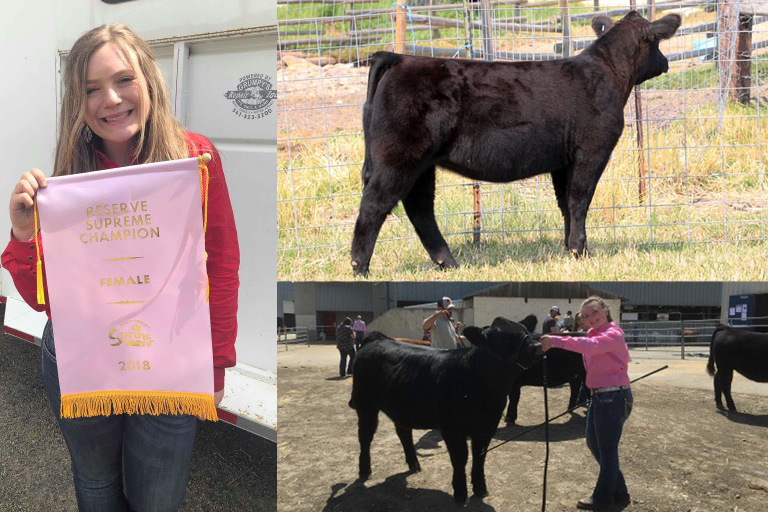 Pictured below is a few of the success stories that were sold out of our annual Bear Lake Classic Club Calf Sale and replacement females we have kept. 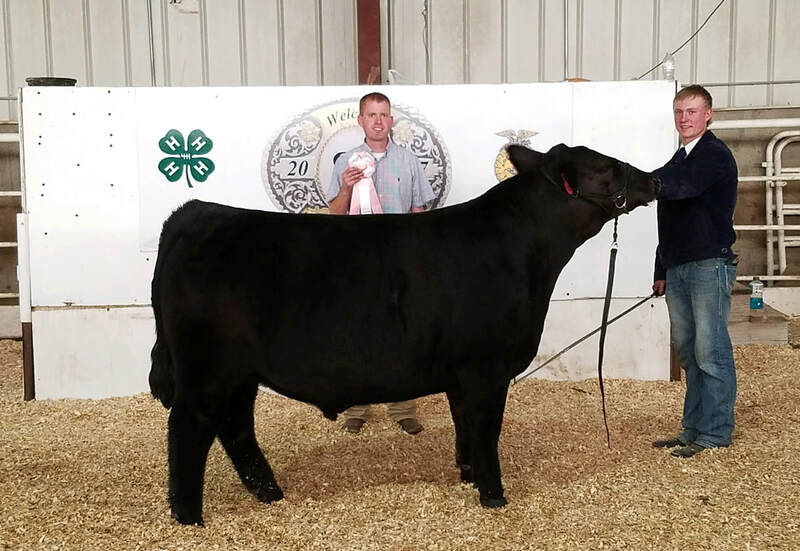 If you have a winner photo of a calf purchased from us, please send it to us and we would love to place it on the website. Congratulations and good luck! When a No Worries clicks it really clicks! 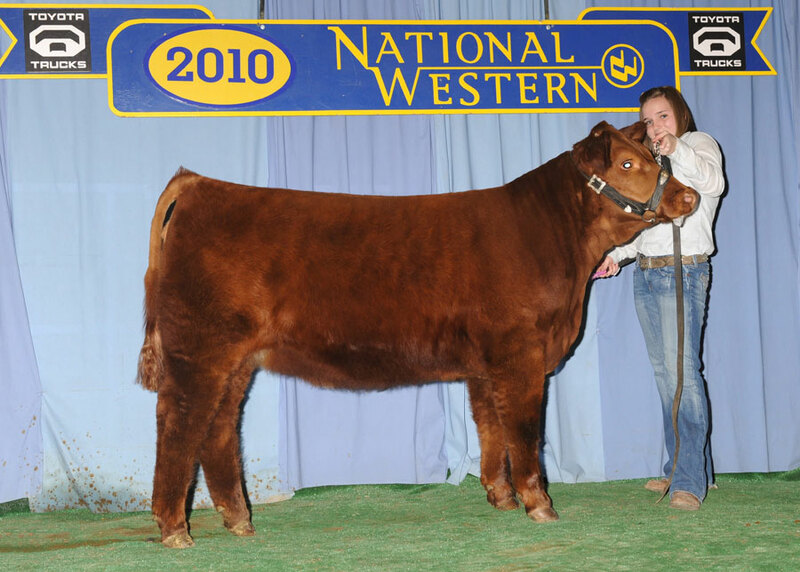 We have loved this steer from the day he was born and he was the right type to show off in the ring. He was hairy, brockle faced and made to compete. 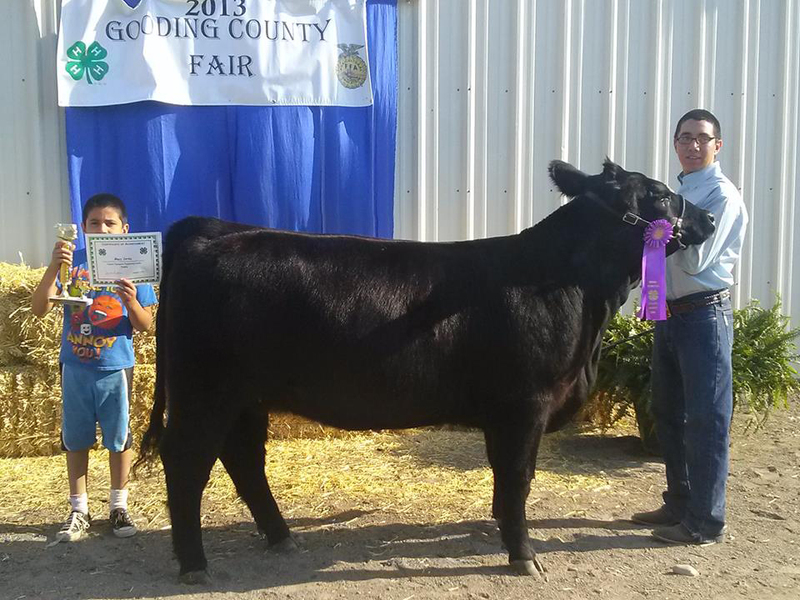 We are excited when we win the local county fair with calves raised right in the county! He was lot 3 in our fall sale and we knew he had this in him. 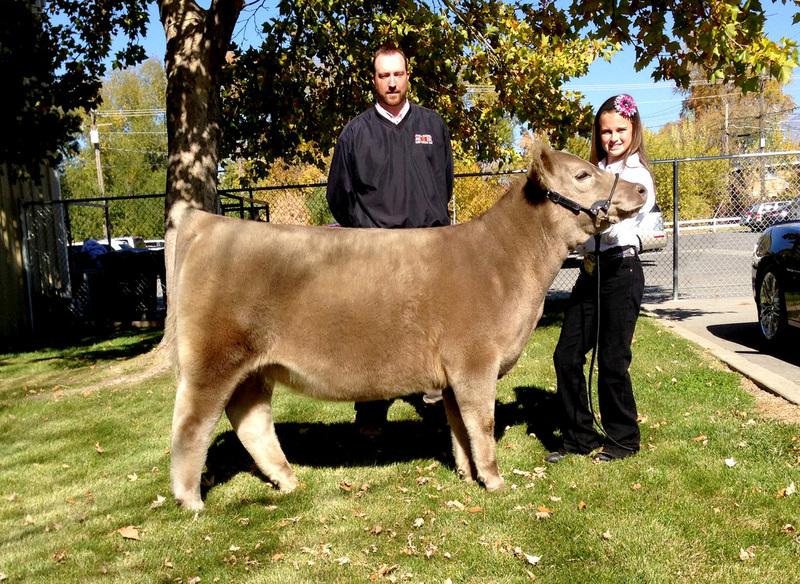 This Goldy Locks sired steer just got better every day. We had a goal to win this fair and Kody helped us reach new heights. 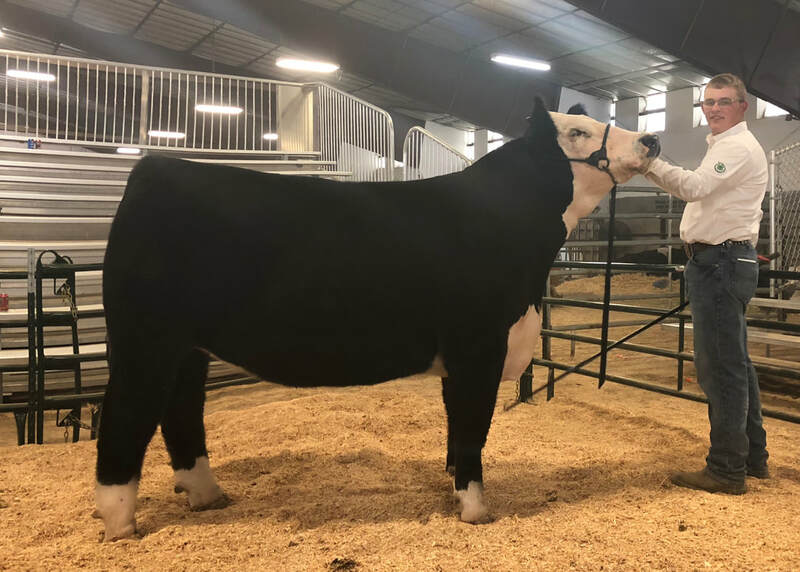 What a cool steer this was as a calf and looks like he did not disappoint in the end. 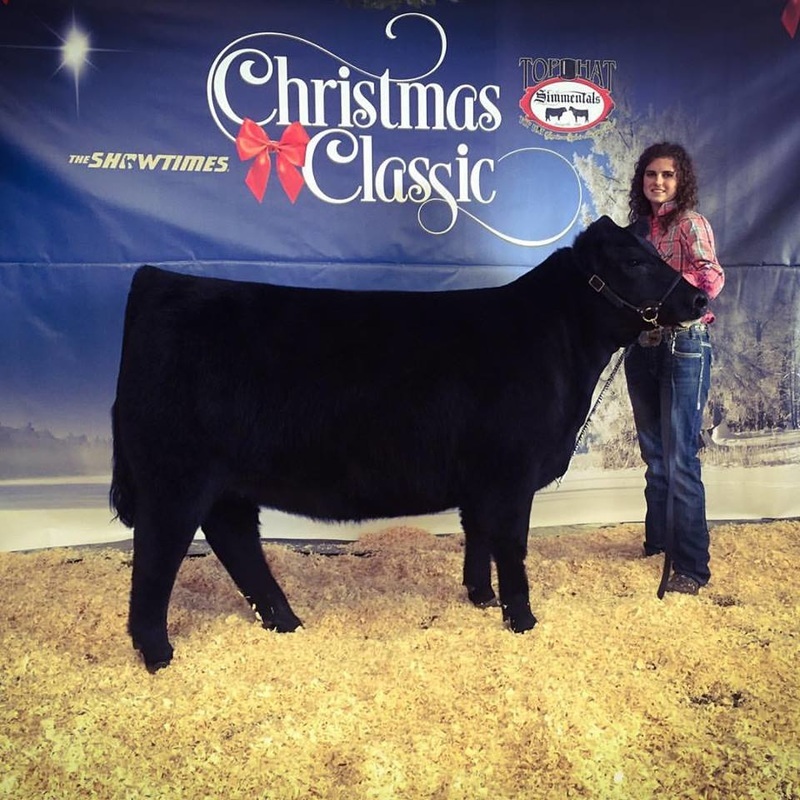 This dam had raised numerous champions and she did the same with this No Worries steers. 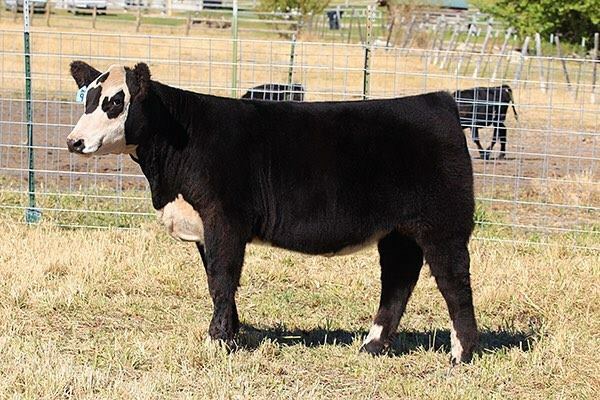 This Monopoly steer was a sleeper in our fall sale. 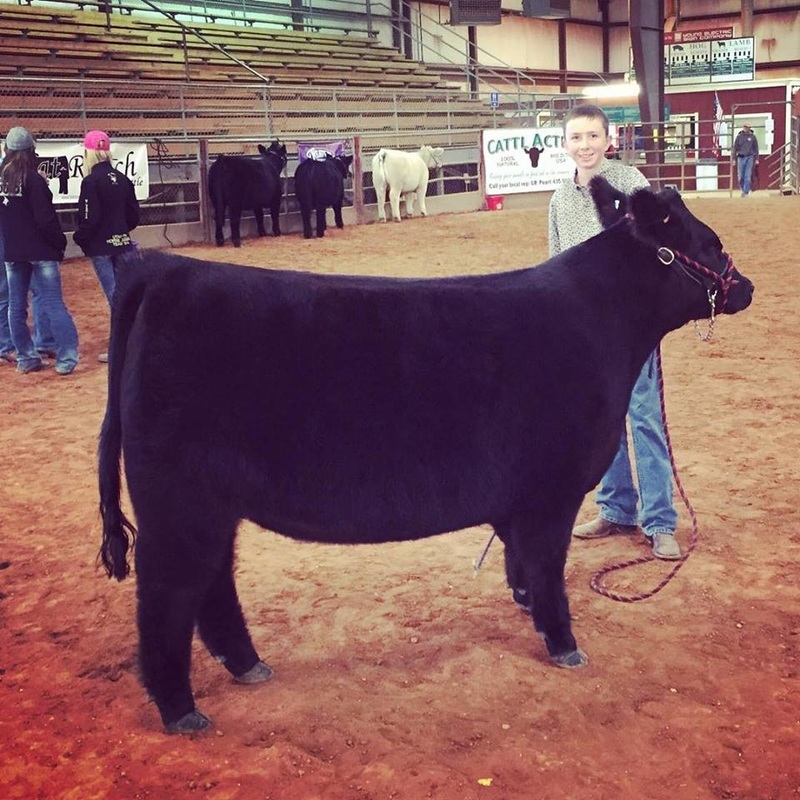 If you look back at his captions for the sale you will see we predicted purple in his future. And he still has more future in him. Stay tuned! From the day he was born we knew we had a good one. 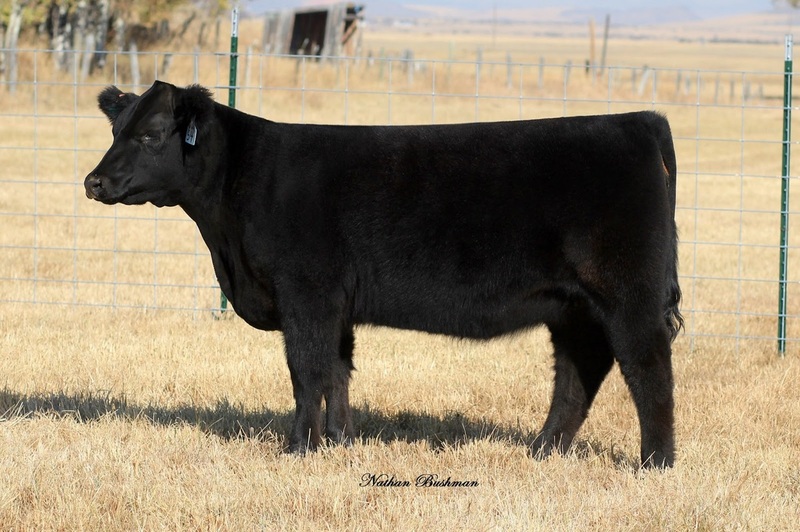 This Monopoly steer has always had the "IT" factor. He was also pictures as a calf because he had many more picture days ahead of him! 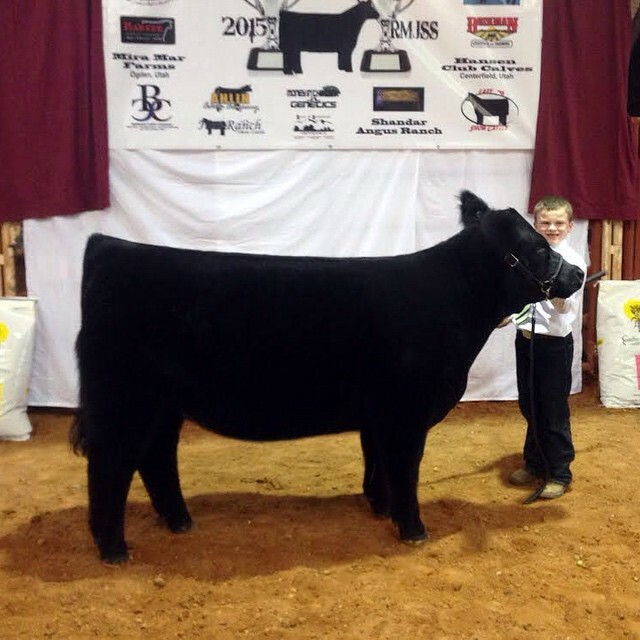 We pictured this calf as baby because we knew he would make multiple banners. 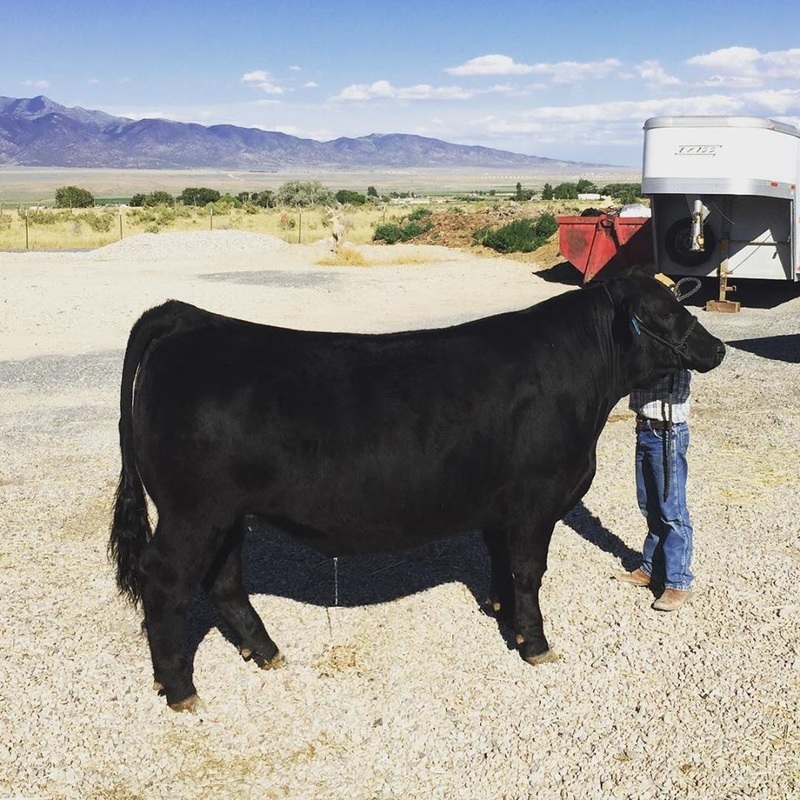 This Italian Stallion steer has the package. Color, hair, sound, and functional. All the components for a champion steer. 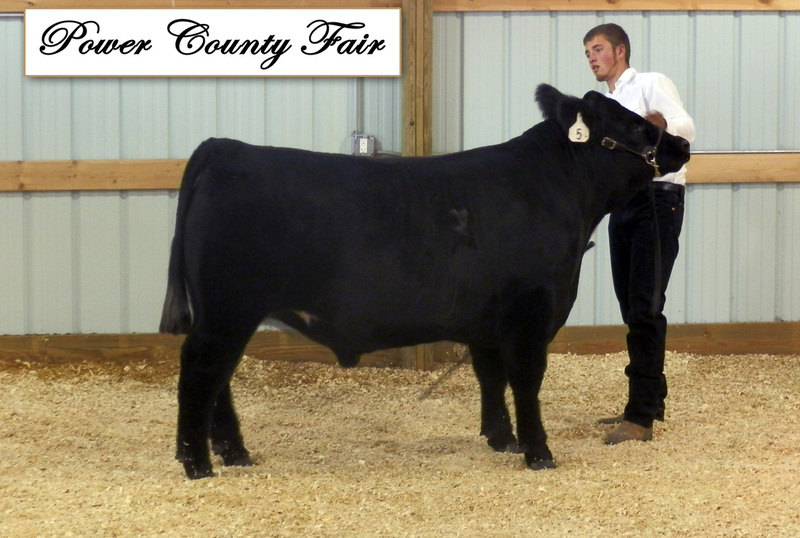 Looking forward to state and county fair time to see what he will continue to do! Stay tuned his winner list will increase. We love to see the winners coming in, but we love even more when we see it on the last lot in the sale! 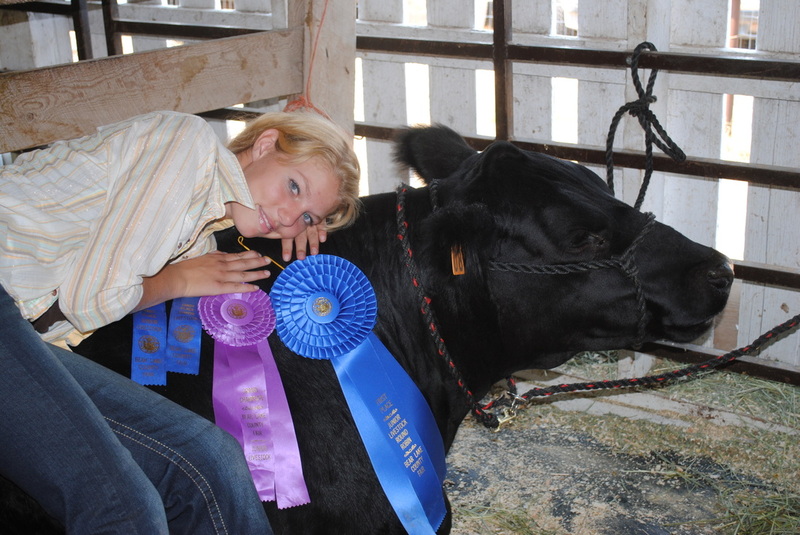 We offer a deep set and work hard to soft though calves that we think wont compete. Be sure to evaluate the whole sale, your next champion might be the last lot in the sale and could be a deal, like Annikas! We knew this guy had what it would take to compete with the big boys. 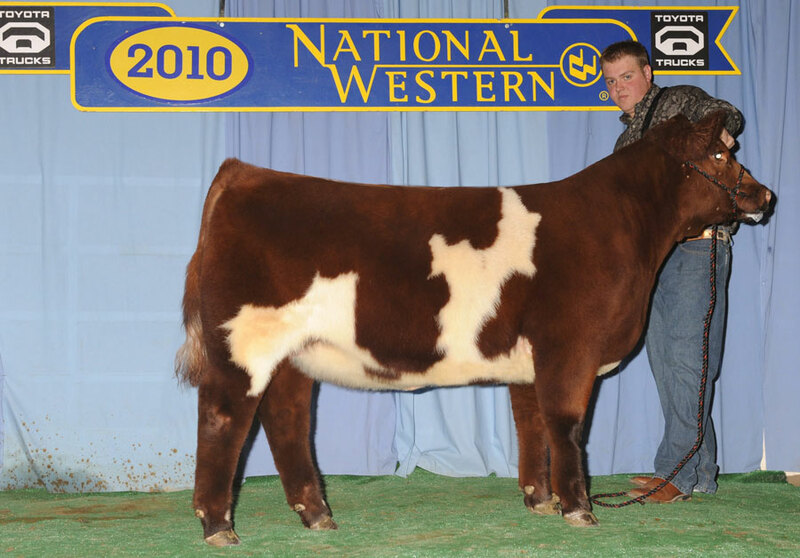 His cool shorthorn color, his sound feet and the shear stoutness made him the right candidate. 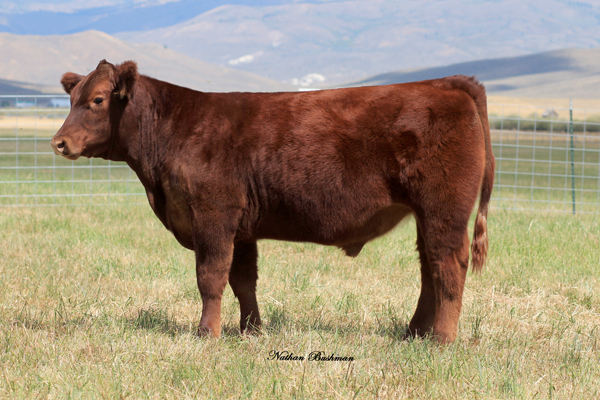 Looking forward to his maternal brother in this years sale sired by Red, White and Roan. Stay tuned for pictures. 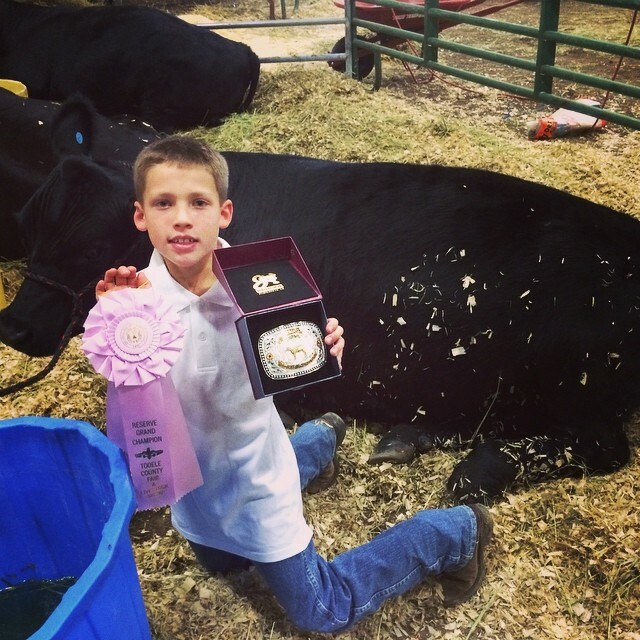 Congratulations with your Champion steer. 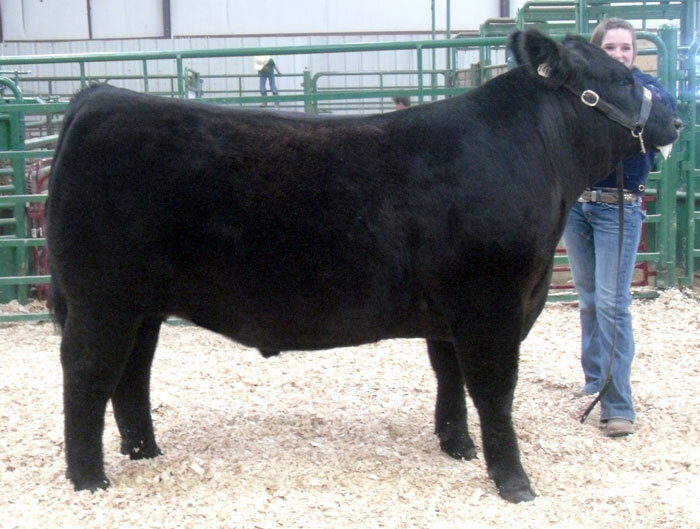 Sired by Bubba, our Monopoly Money Bull. 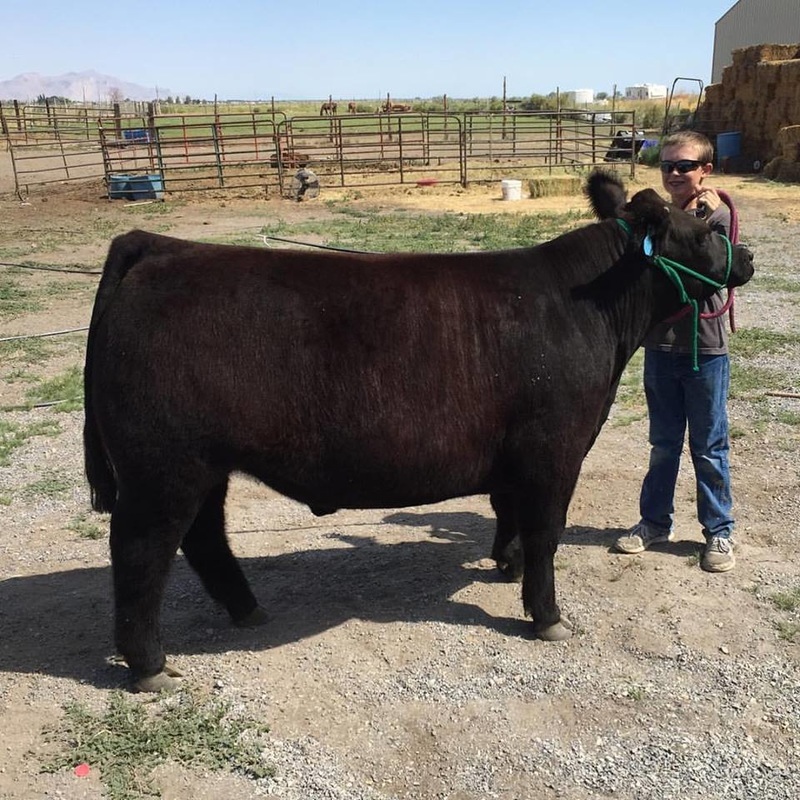 Bubba is a maternal brother to the Utah State Fair Champion Steer in 2013. 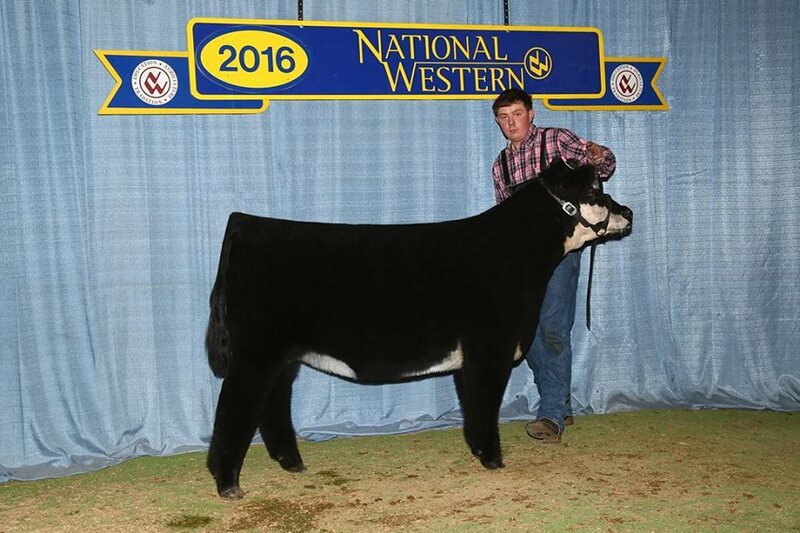 This steer had the hair and bone to really give it a run. 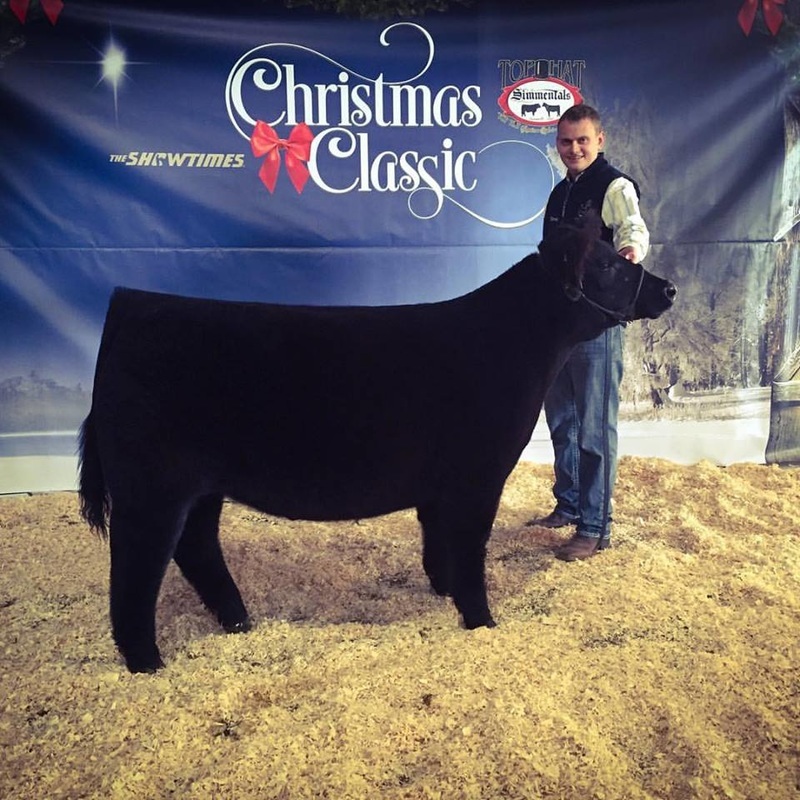 He was way down the sale order so make sure you really take a look this next year! 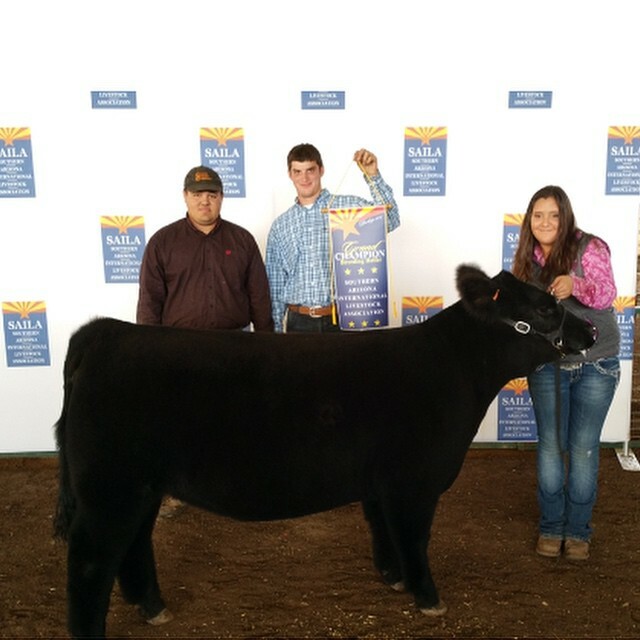 Congratulations Kody with your Reserve Champion steer. Sired by Monopoly and out of a Hannibal cow this guys has only gotten better and better with time. 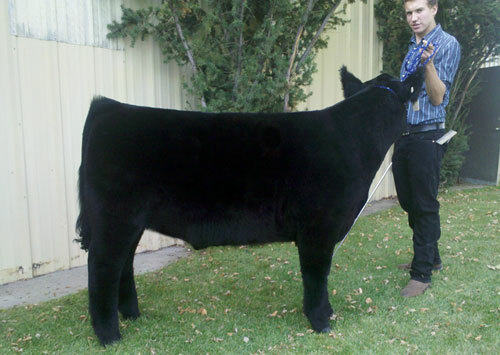 Tag 97 had produced numerous champions over the years and this guy was no different. Wait until you see her calf this year. 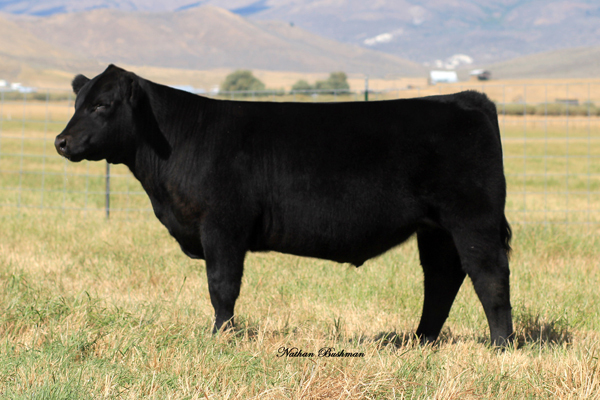 Maternal brother sells September 25th! 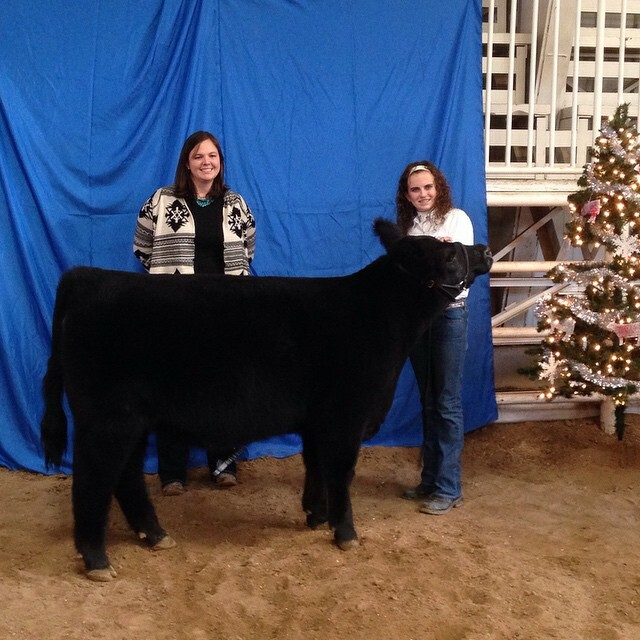 Congratulations Hayley with your Reserve Champion steer. Sired by MAB. 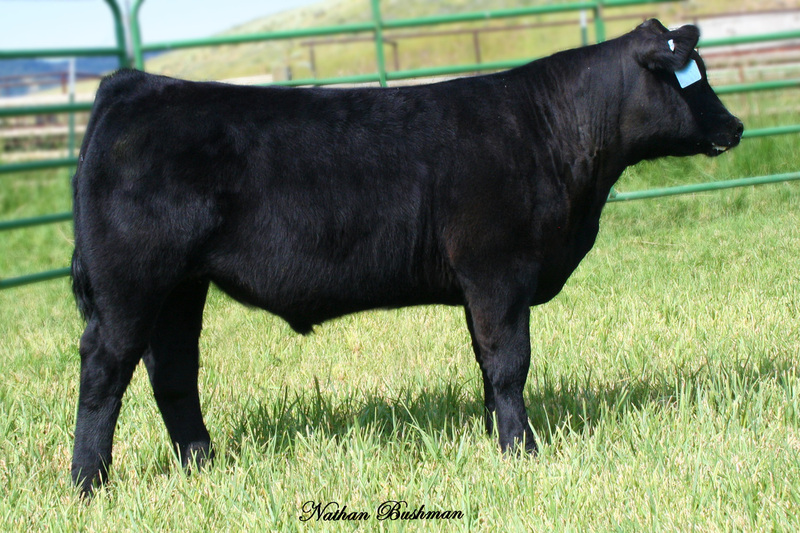 Maternal brother to many champion calves. We knew this one had a future and he did not disappoint. Great job! 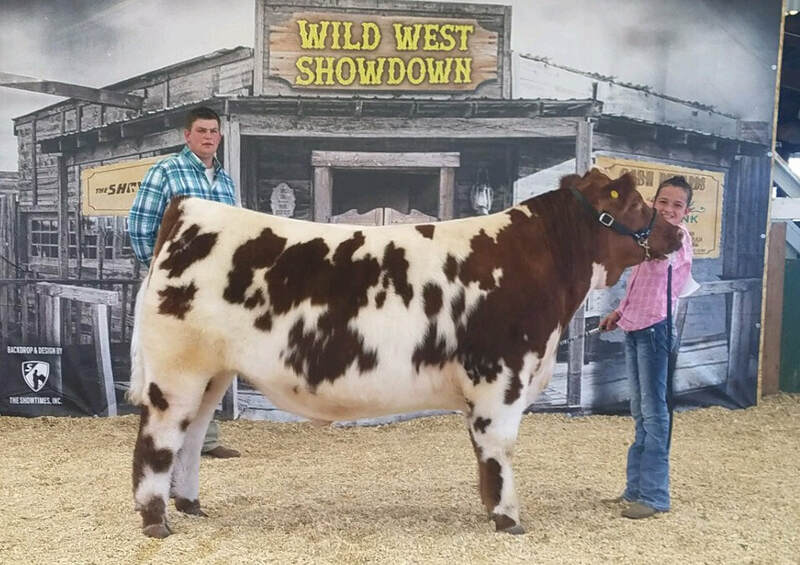 Congratulations to Abby with your breeding heifer. 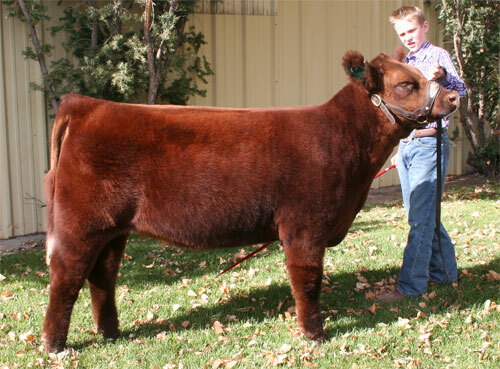 Sired by our spring lease bull Tomahawk Chop. This gal has been cool her whole life and we knew she would make purple one day. 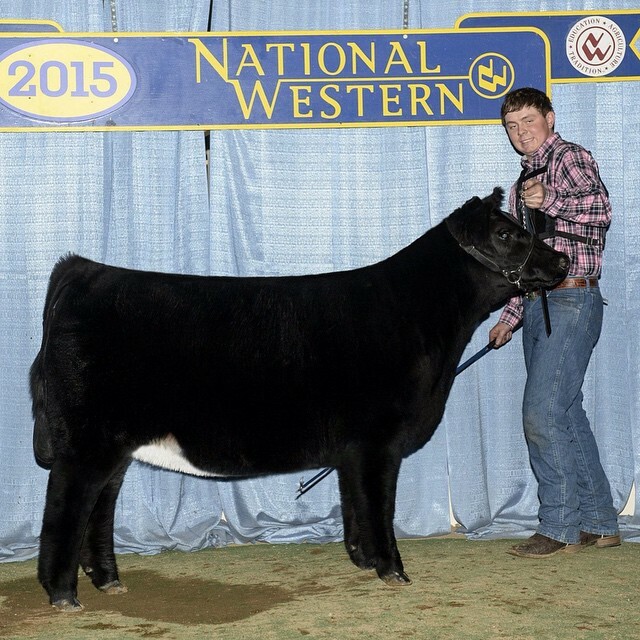 Offering a wide range of heifers each year and this little April born was sure to bloom into a champion. 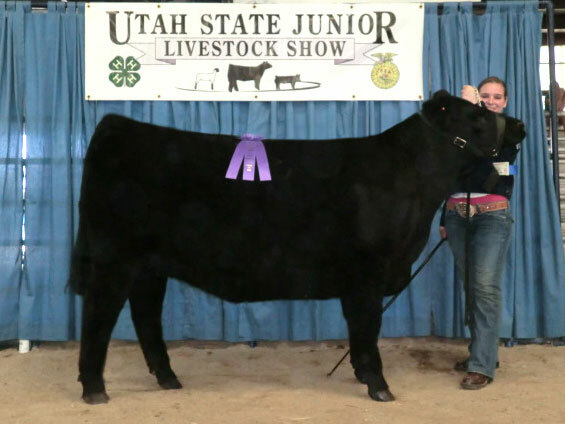 Congratulations to Jessica with your Grand Champion Steer at the Salt Lake County Fair. 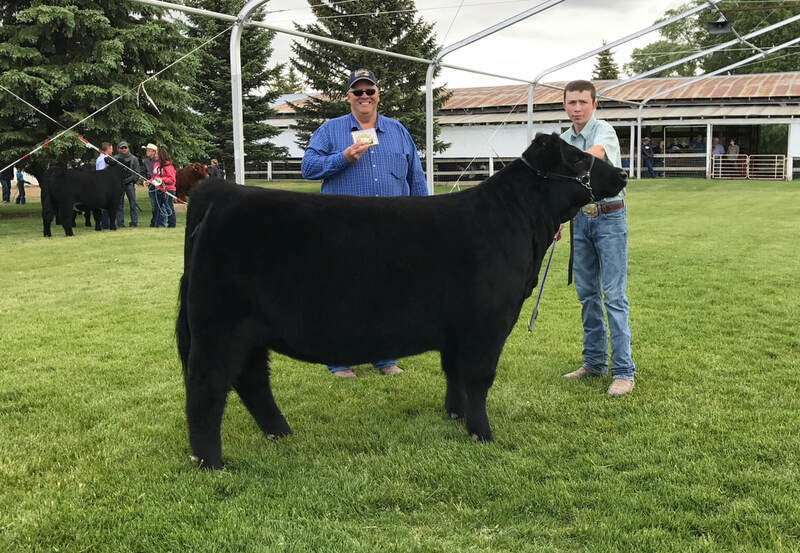 Steer was sired by Man Among Boys. 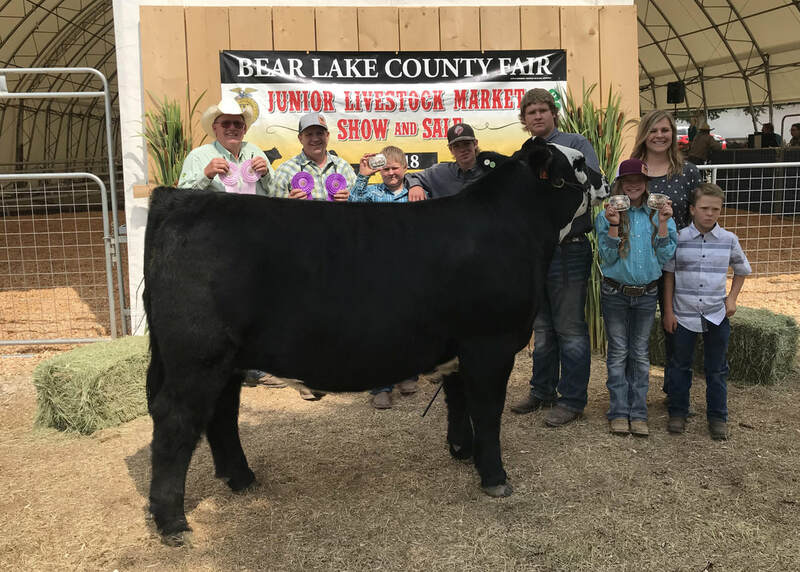 We were excited to have claimed the SLCF title for the second year in a row. 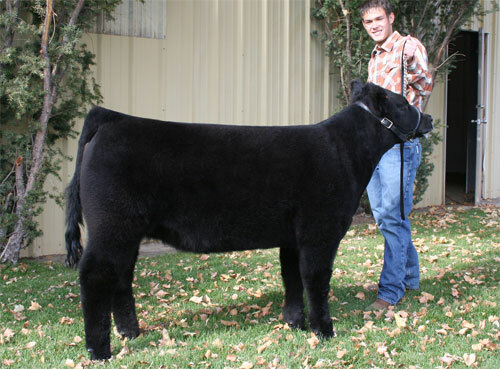 We have a full brother to this steer in this years sale. 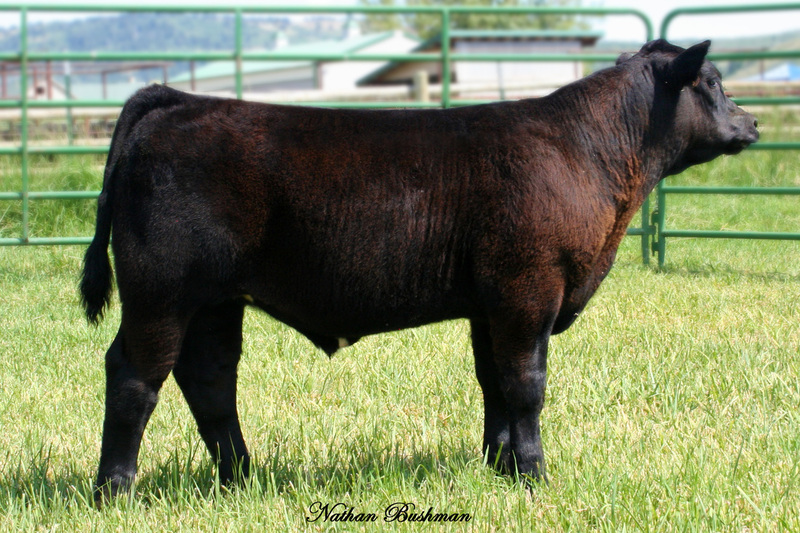 Offering numerous grand champion caliber calves in this years sale. 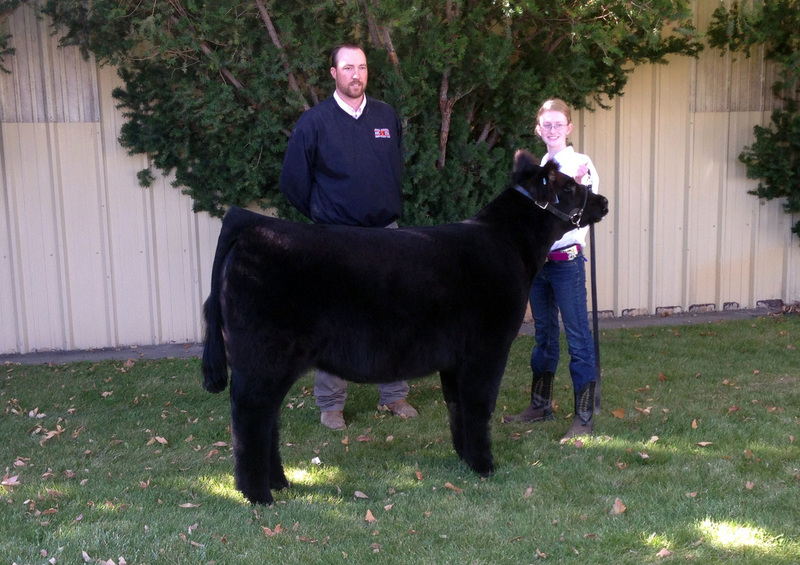 Congratulations to Ashlyn with your champion steer Simon. 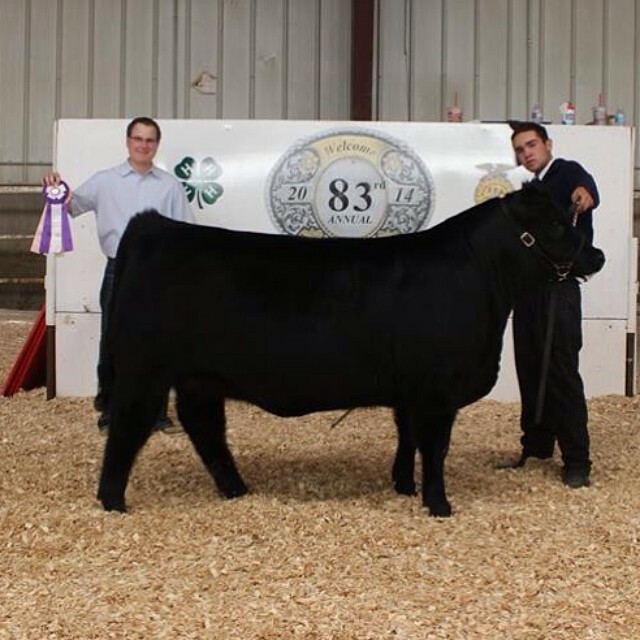 Sired by MAB and out of a champion female Princess. 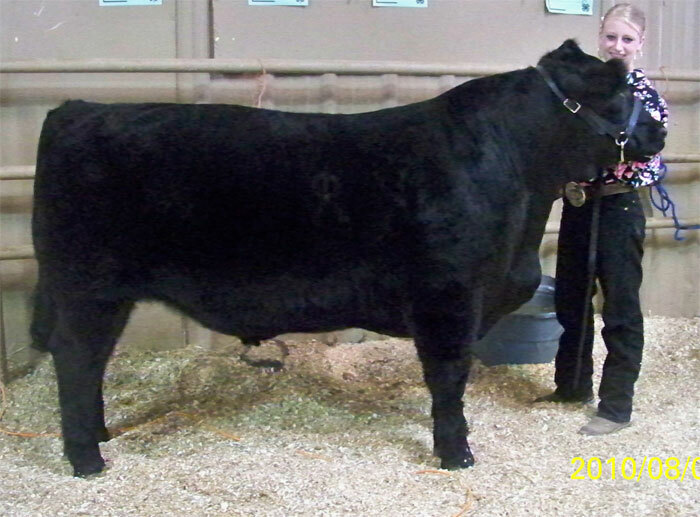 Princess is a Purebred Angus sired by TC Freedom. 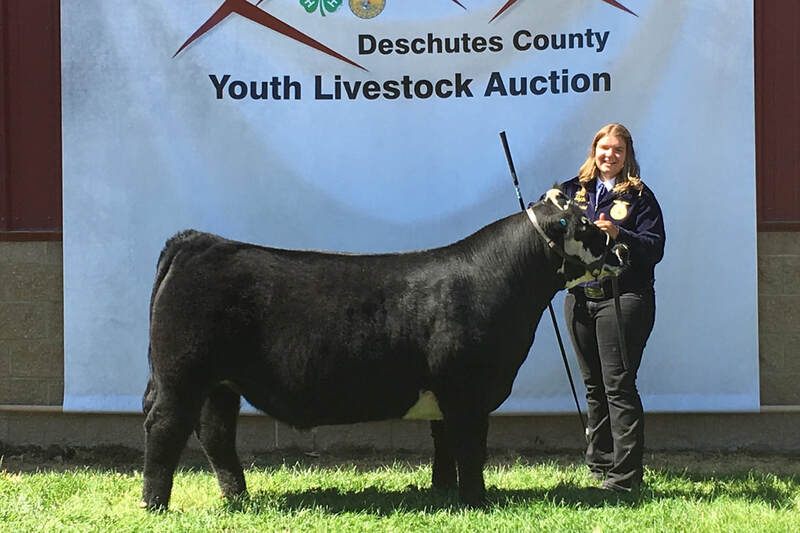 One of Ashlyns favorite things about this steer is his disposition. 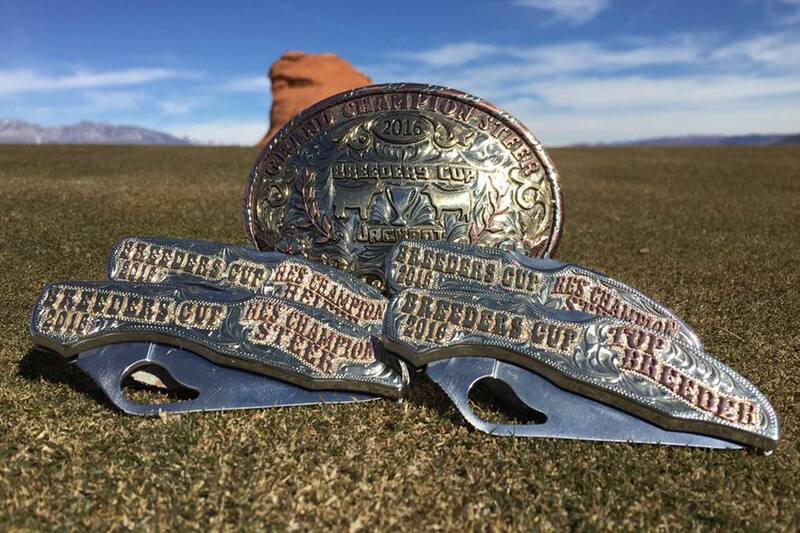 Be sure to plan a visit to this year preview and pick up your next champion. ​ year in a row! 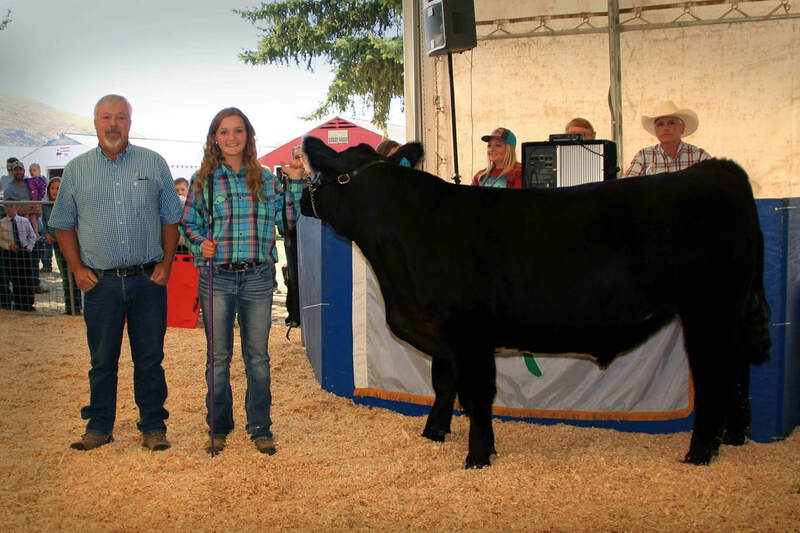 We had a great turn out of Bushman bred cattle at the RMJSS Days of 47 Finale. 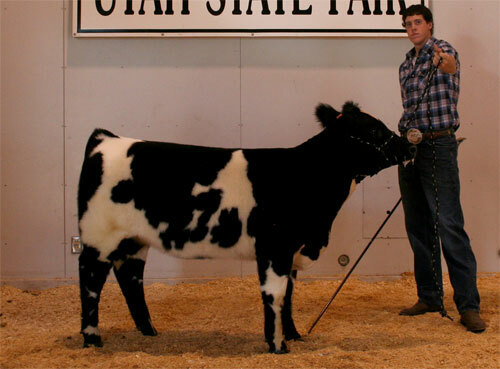 Numerous calves from last years sale ended up competing in the star rounds for the title. 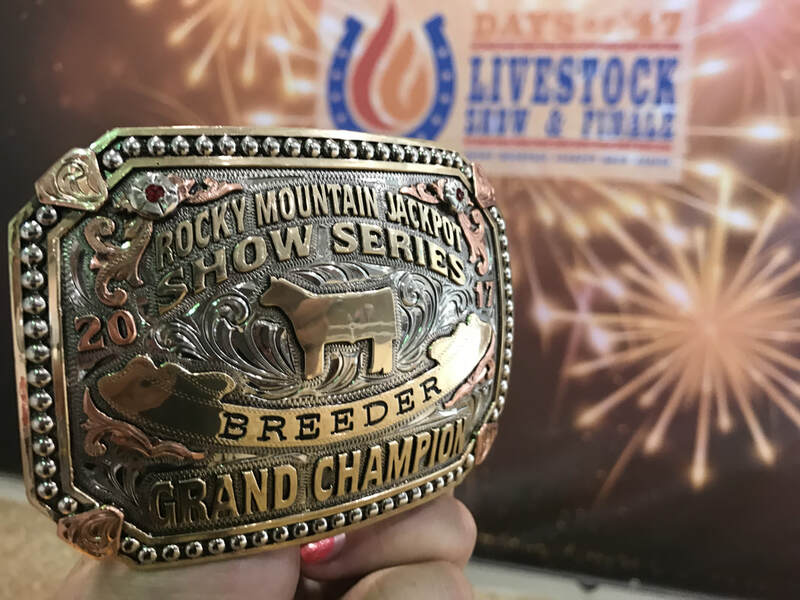 We were honored to receive the 2017 Breeder of the Year with most grand champions for the 2017 show season of all the breeders in the RMJSS. Thanks for all your support and great work with our calves to help us receive this award. 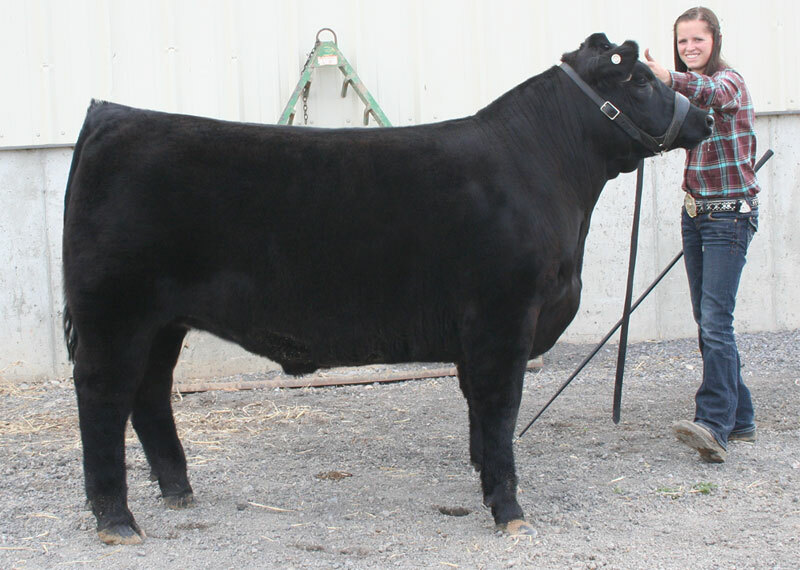 Sold in last years fall sale! 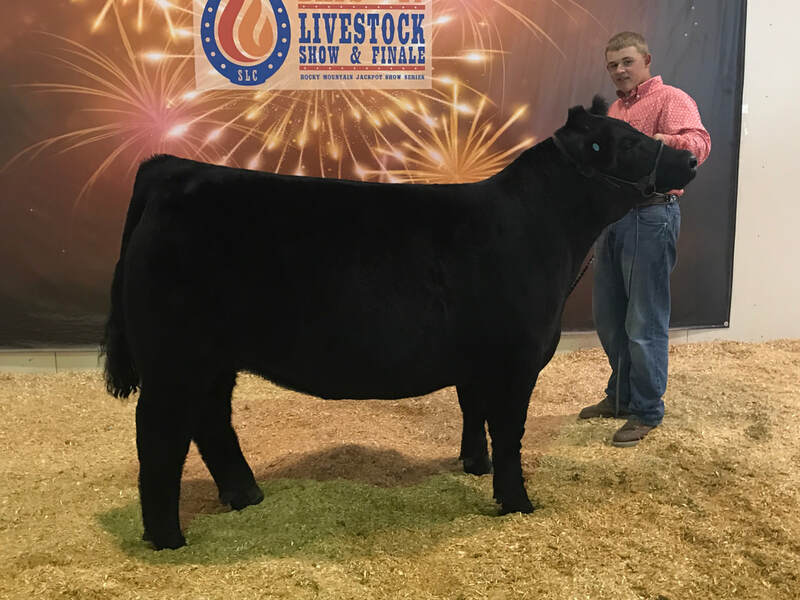 Congratulations to Tyler Morgan with your many time champion heifer Little T. Sired by No Worries and out of a many time champion female Tootsie, and Eye Candy. ​We look forward to a great future in this fantastic donor. Be sure to take a good look at the females offered in this years sale. 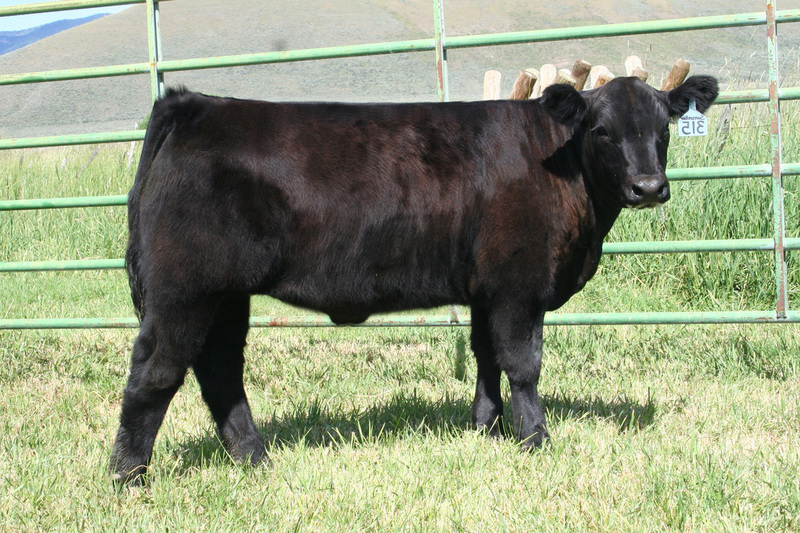 This Man Among Boys x Hannibal steer just kept getting better with age. We knew he had the potential to make the cut and he did not disappoint. 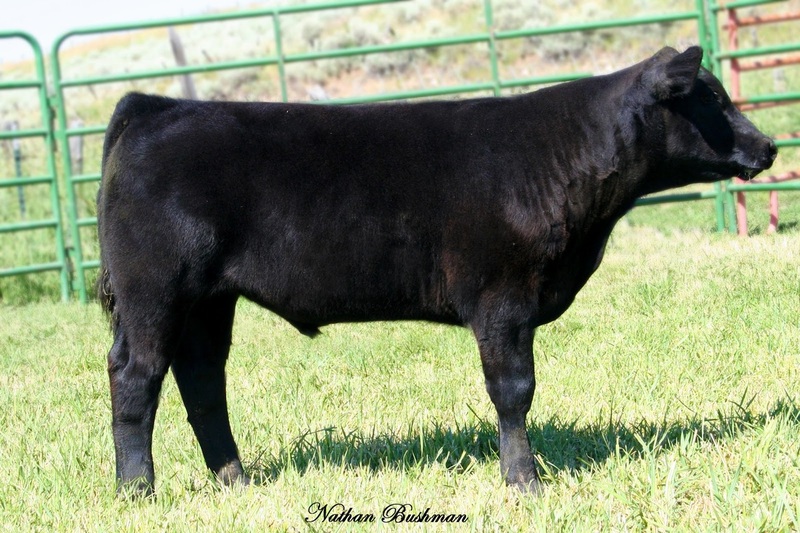 ​Selling numerous calves with the same potential in this years fall sale. 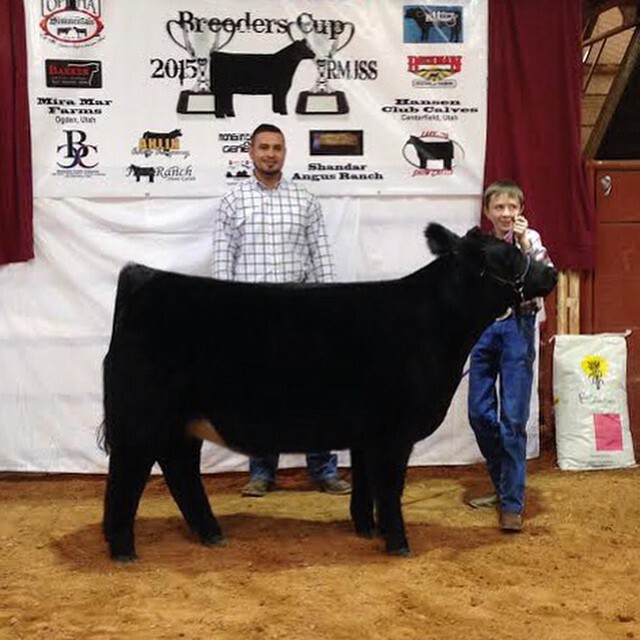 Congratulations Tyler with your reserve champion steer. 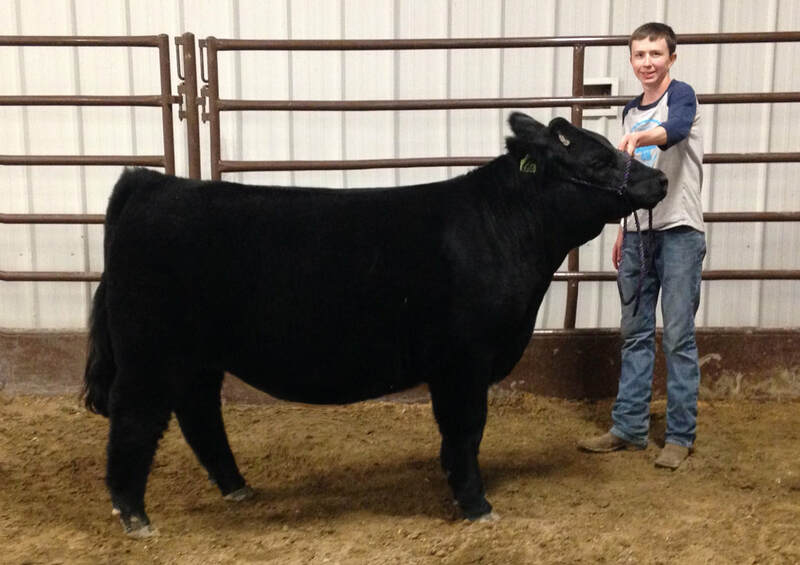 Sired by our spring lease bull from Matt Lautner Cattle Tomahawk Chop. 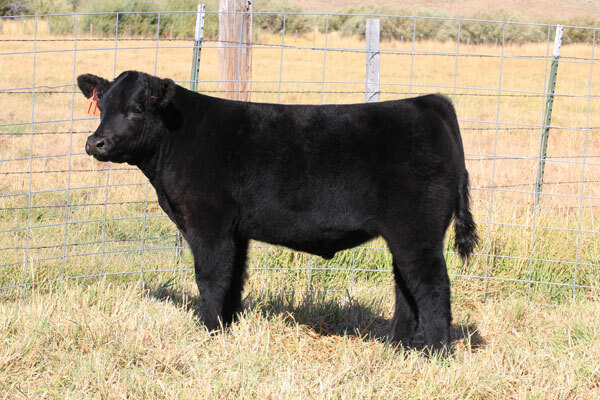 We are very excited at the future these Tomohalk Chop calves hold. 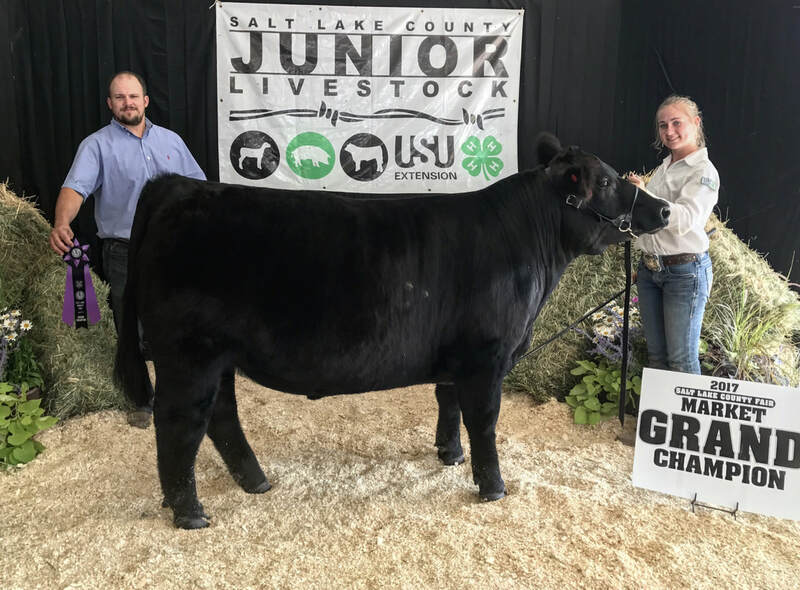 Bushman Cattle Company claims its Second Champion at the Utah State Fair in less then five years! 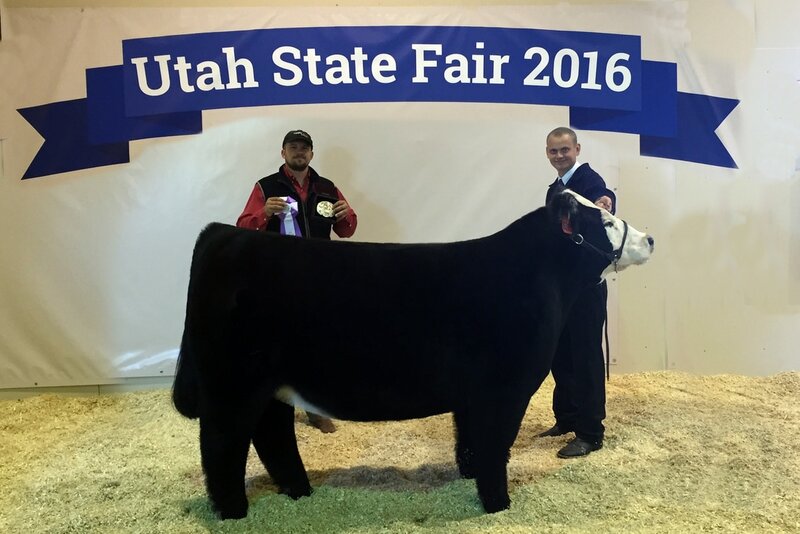 Congratulations to Tanner Maxfield with your Champion Steer Kuna at the Utah State Fair. Kuna was a No Worries out of Rosie, a Monopoly Hairy Bear Female. Kuna claimed many titles over his career and this was just the capstone to his career. Calves like this done come everyday and we were excited to watch him progress right here in out back yard. 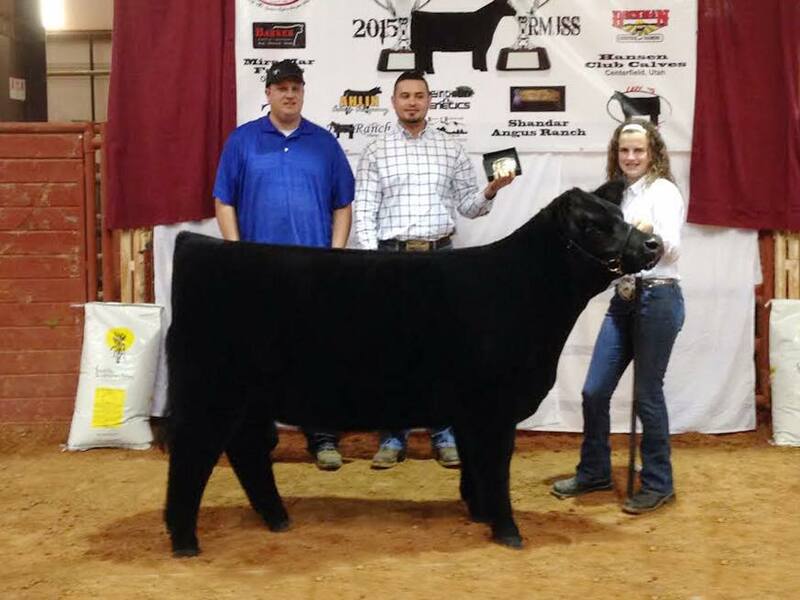 Congratulations Tanner Maxfield Grand Champion Steer. 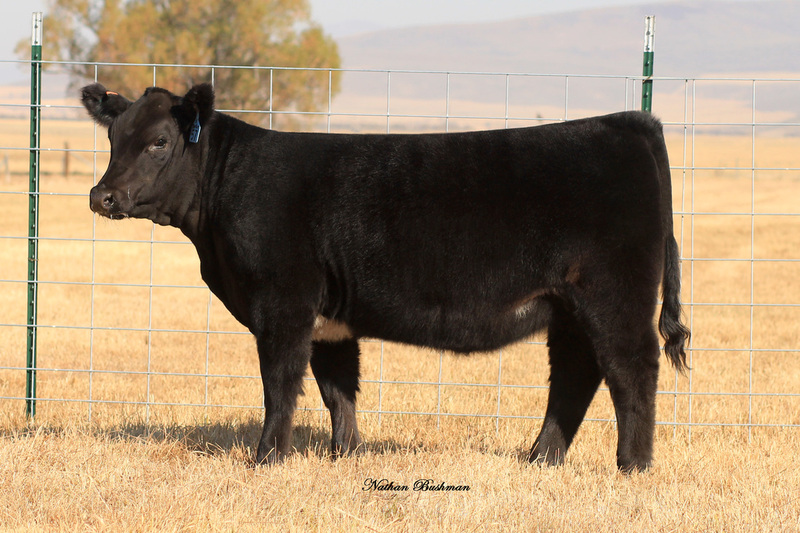 Monopoly steer sold in our 2016 fall sale. Lot #3 in our Online Fall Sale. 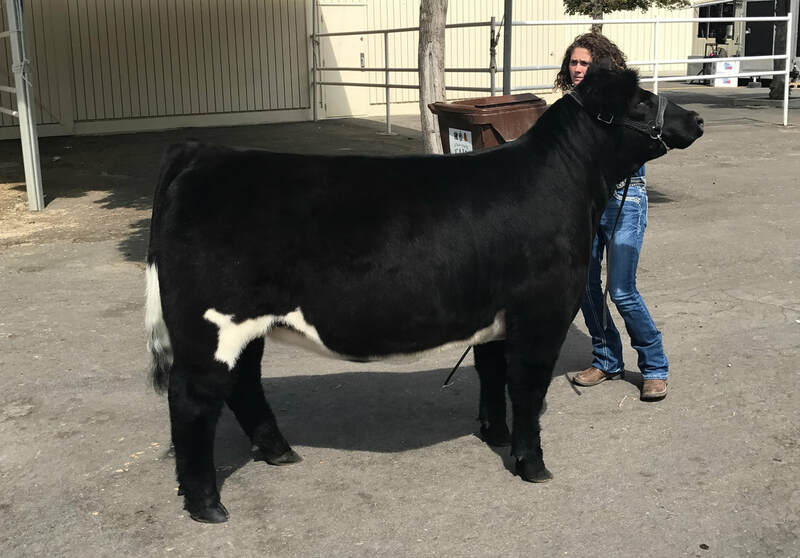 This guy was a steal.... selling under the sale average by over 500 dollars. 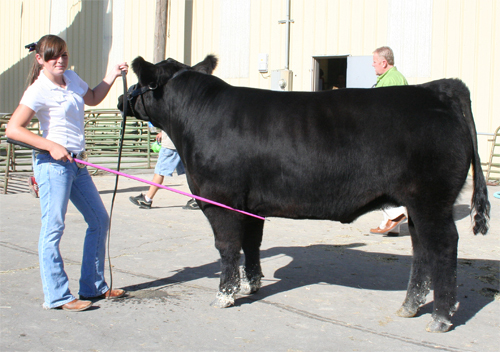 We sift through our calves hard and only offer what we feel if fed right, and hair worked can WIN your show! 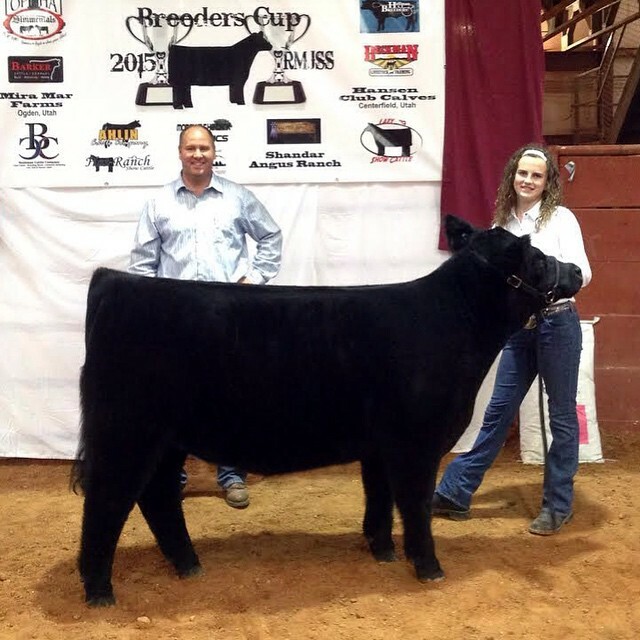 RMJSS Finally - Steer and Heifer Breeder of the year. 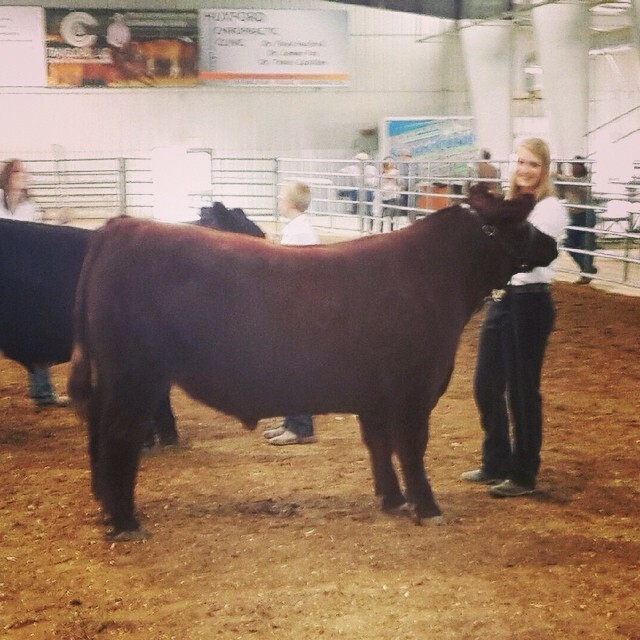 Reserve Champion Market Heifer - Millard County Jr Livestock Show. 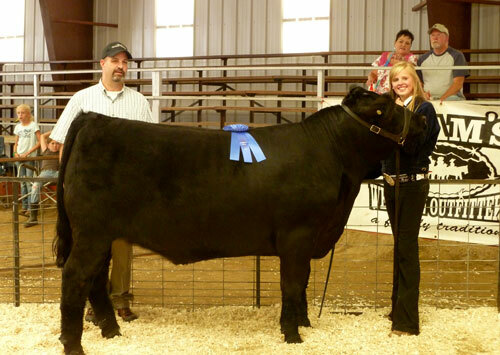 Champion Market Heifer - Millard County Jr Livestock Show. 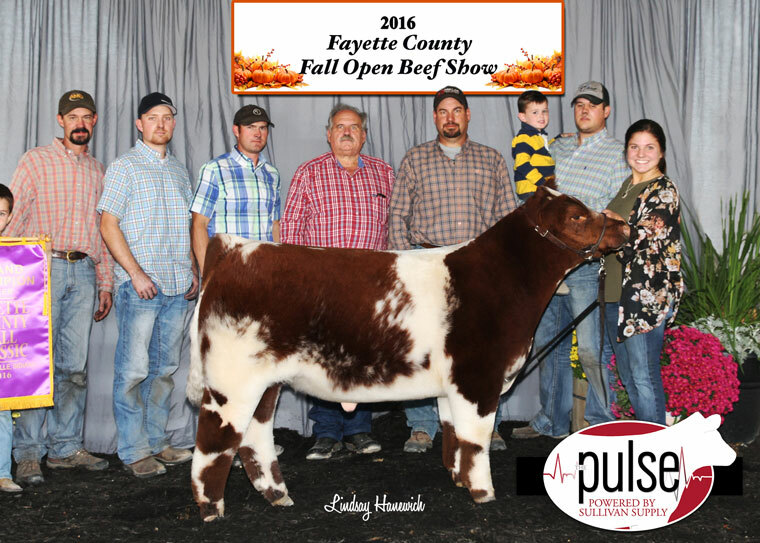 Grand Champion Heifer Fall Kick Off - Tootsie - Sired by Eye Candy. 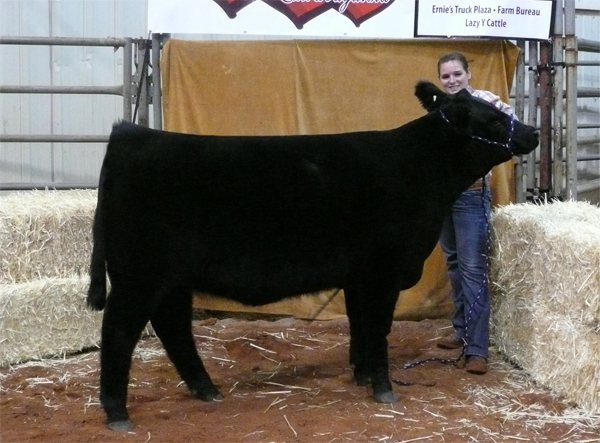 Reserve Champion Heifer Fall Kick Off - Honey - Sired by Pooh Bear. 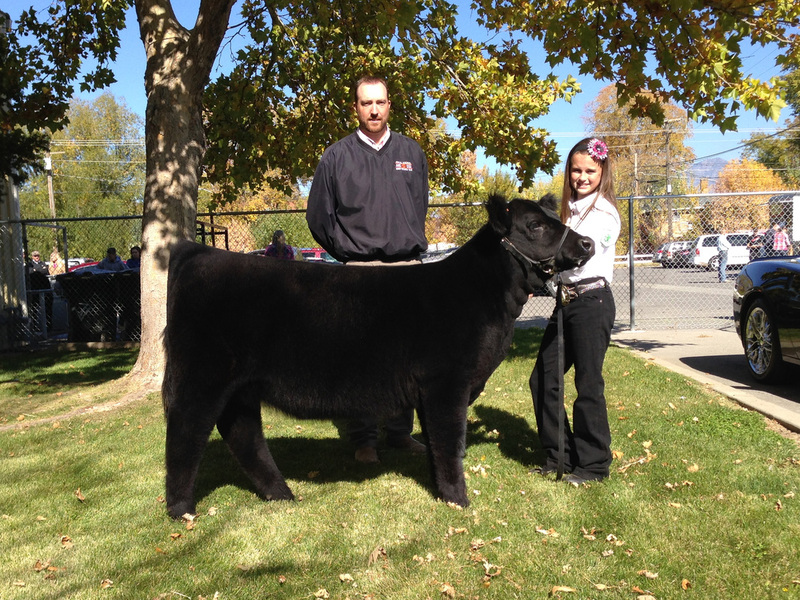 Grand Champion Steer Fall Kick Off - Sired by Eye Candy. 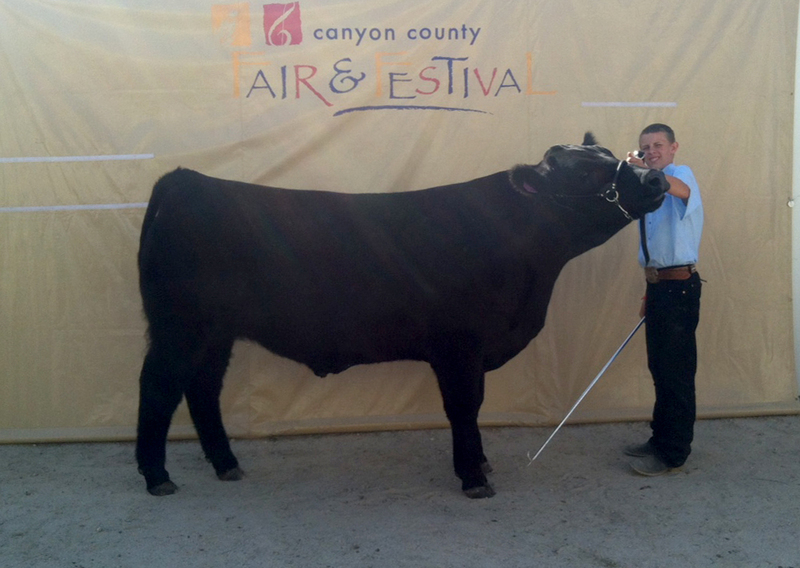 Grand Champion Steer at the Davis County Fair. Congratulations Susan Thurgood. 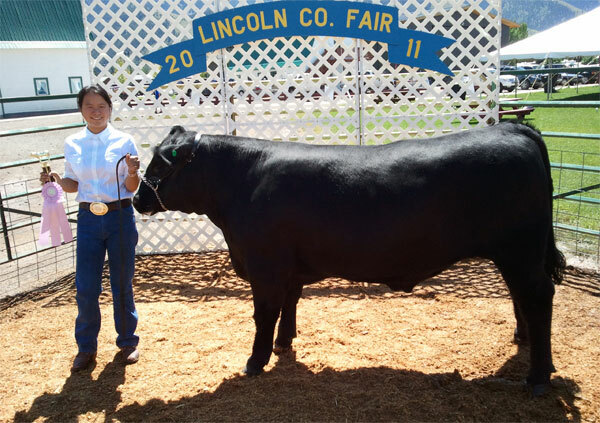 Congratulations Alexis Carlos on your champion heifer at your county fair! 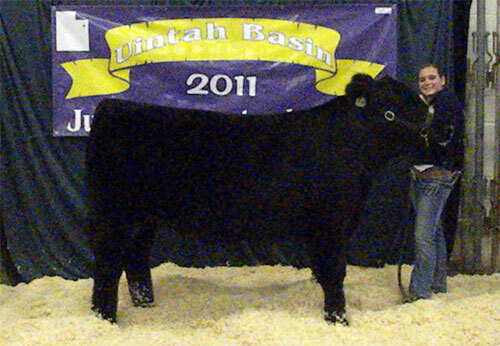 2013 Grand Champion Maine Influenced Heifer at the Utah State Junior Livestock Show. 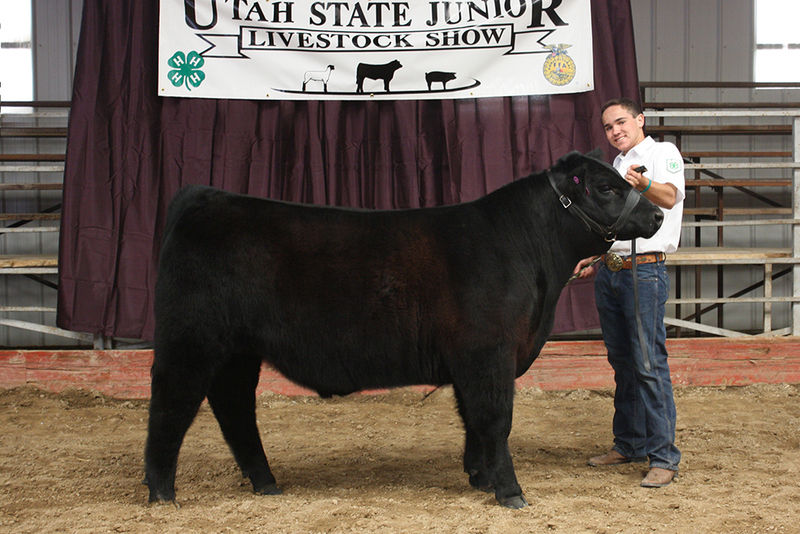 2013 Reserve Champion Steer - Lakeshore Pre-Show and Champion Drive Steer at the Utah State Junior Livestock Show. 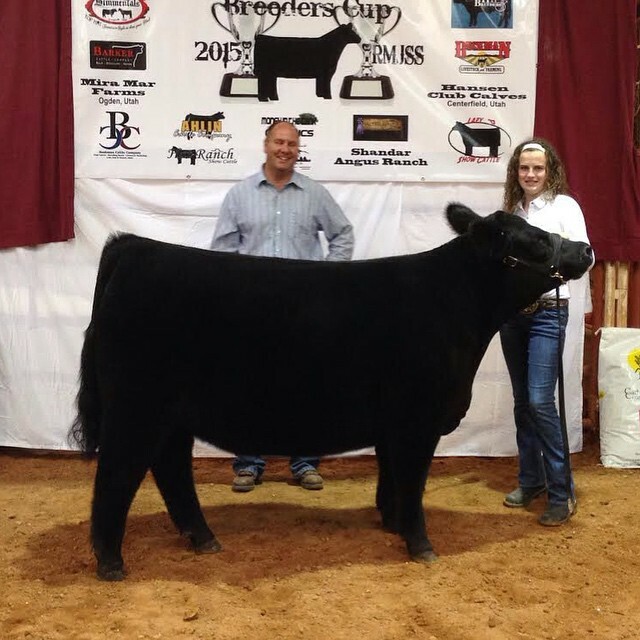 Congratulations Kamrie Olsen with your class winner and 5th place overall market steer. 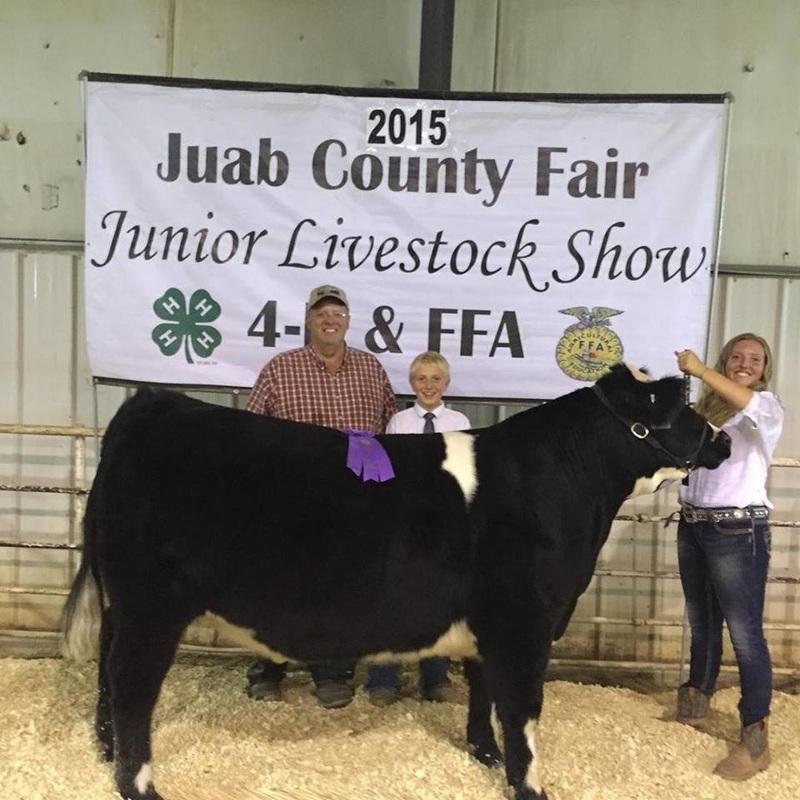 Uintah Basin Junior Livestock Show. 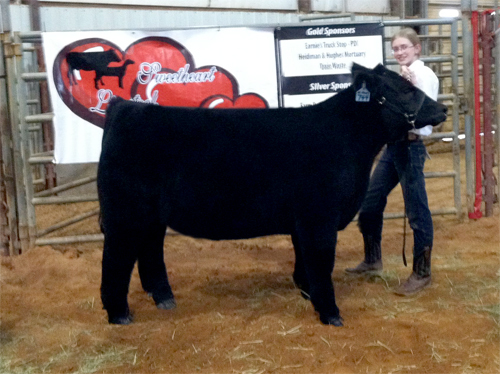 Congratulations Kuehn Family with your 2013 Reserve Champion Maintainer Heifer at the Oklahoma State University Block & Bridle! 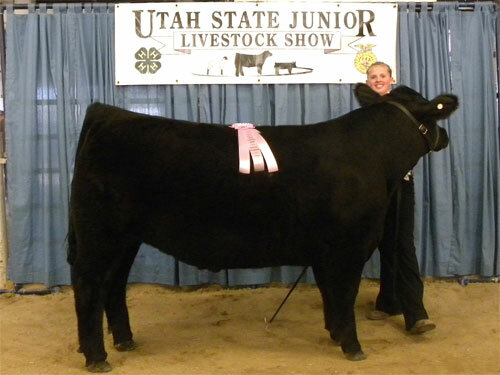 2013 Star Class - Seventh overall market steer - Utah State Junior Livestock Show. 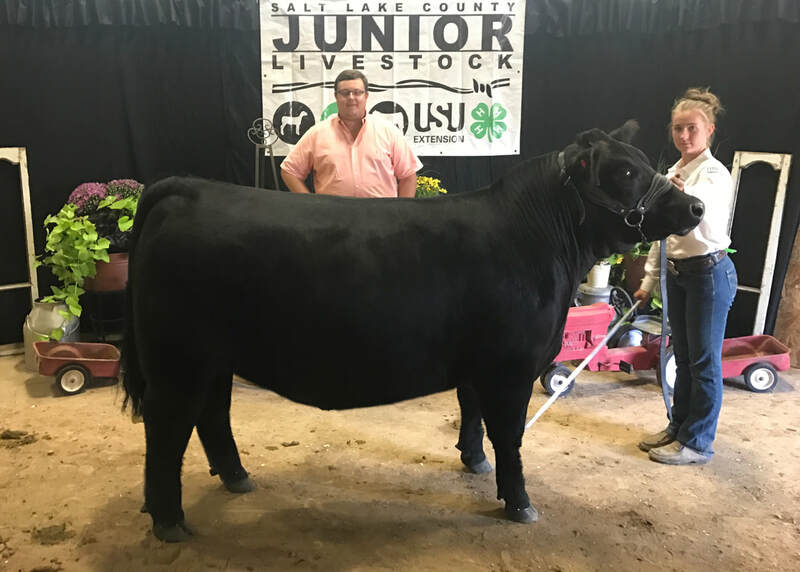 Congratulations Alexis Carlos and Nelson Club Calves with your Reserve Champion AOB heifer @ The magic valley jr classic jackpot! 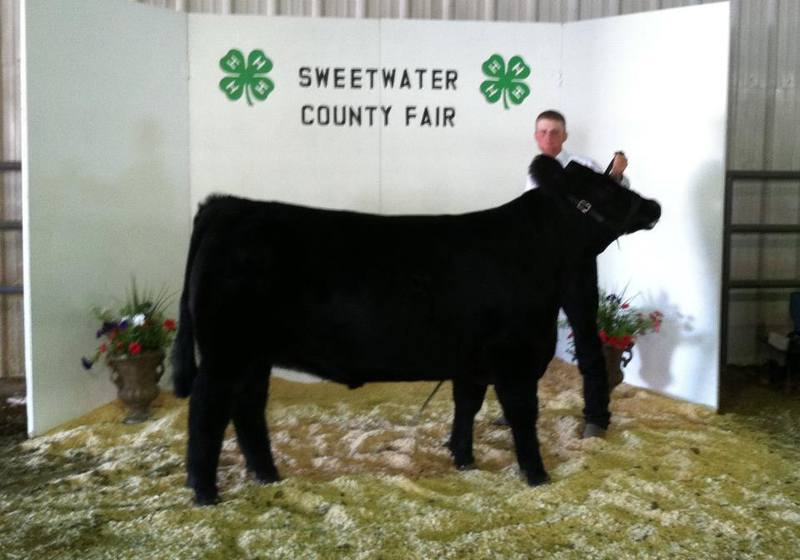 Congratulations Kalob Hullinger, Division Champion Steer and fifth overall steer at the 2012 Sweetwater County Fair! 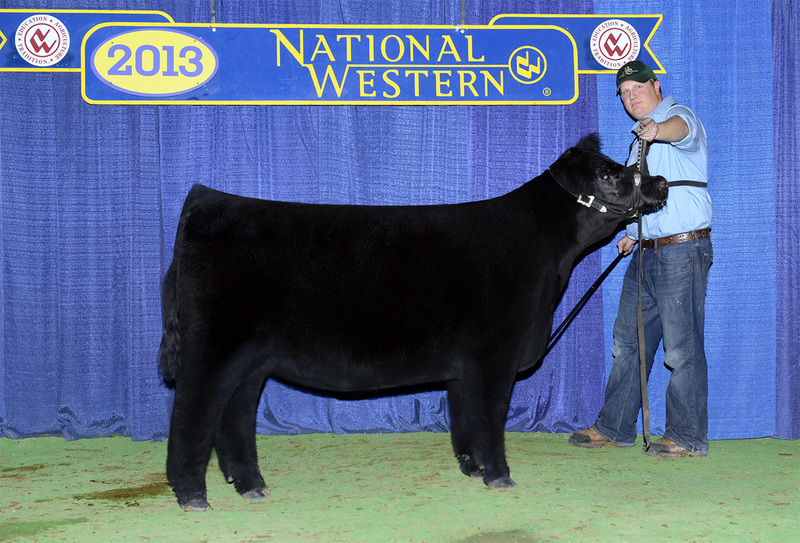 2013 Congratulations Wride Family with your 4th place overall heifer @ Sweethearts Jackpot. 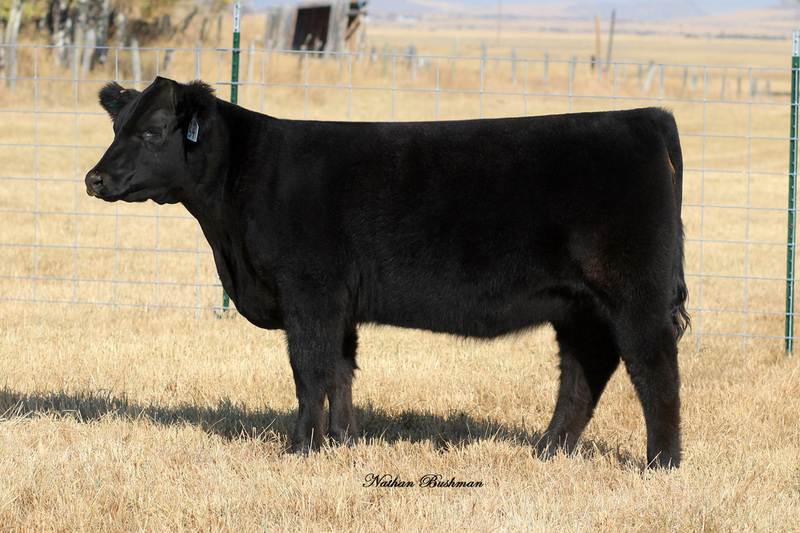 Sired by Monopoly 2. 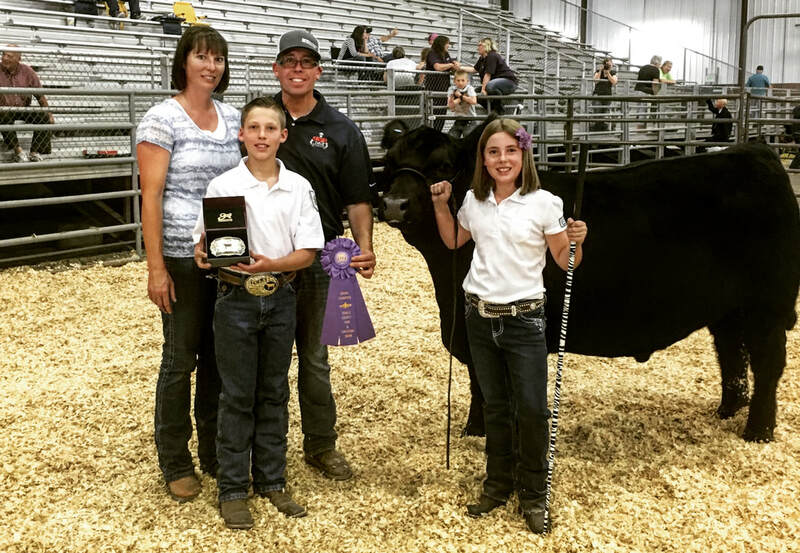 Congratulations Transtrum Family with your class winner and third place over all market steer at the 2012 Bear Lake County Fair, Idaho. 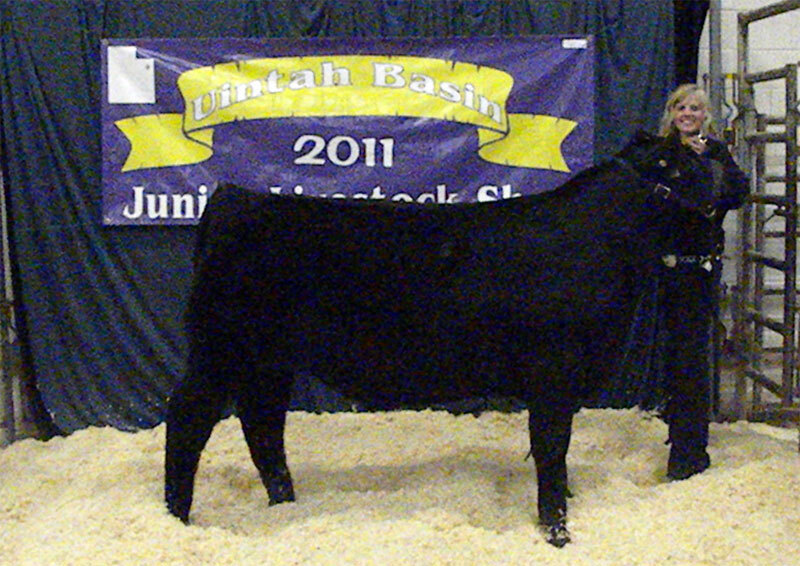 2012 Champion Heifer at the Cowboy Classic Jackpot, Utah. Congratulations Rhett Perkins! 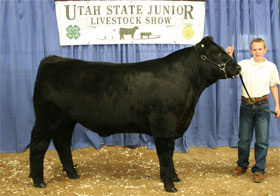 2012 Grand Champion Steer - Utah State Fair. 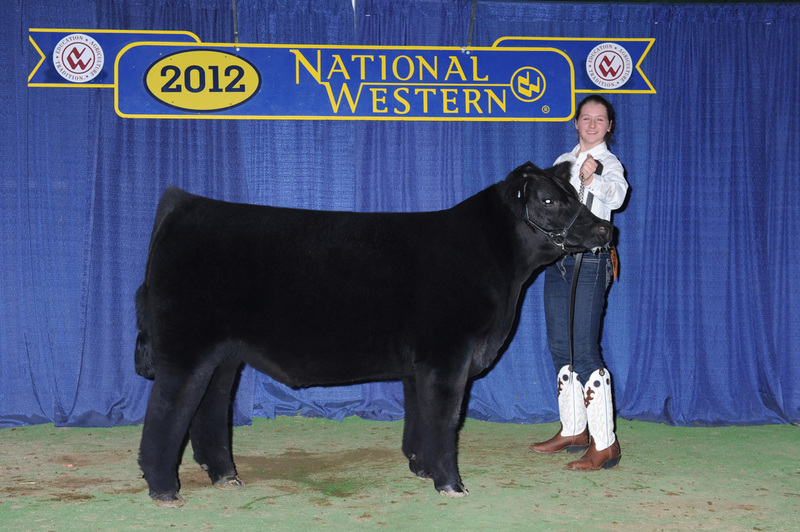 Rosie, 2012 Champion Drive Heifer and Sydney Bushman was Champion Junior Showman. 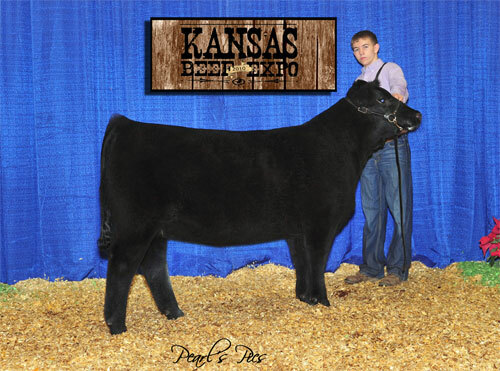 Rosie, a Monopoly 2 x Hairy Bear Heifer. 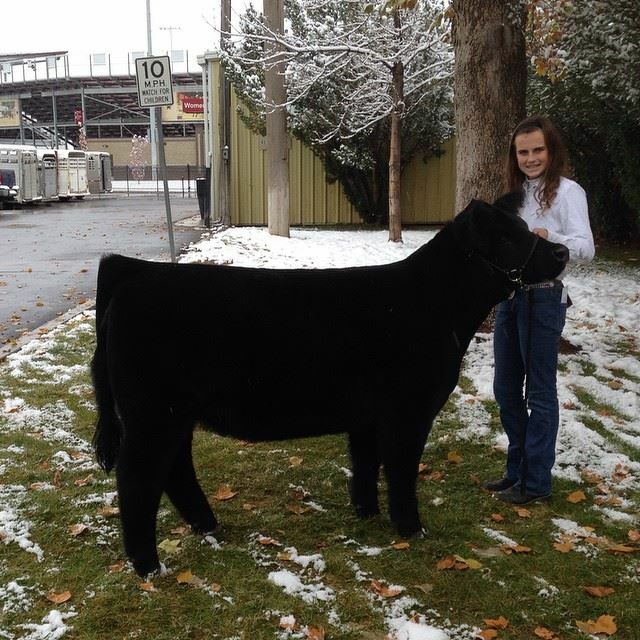 2013 Fourth in the her class at the National Western Stock Show. 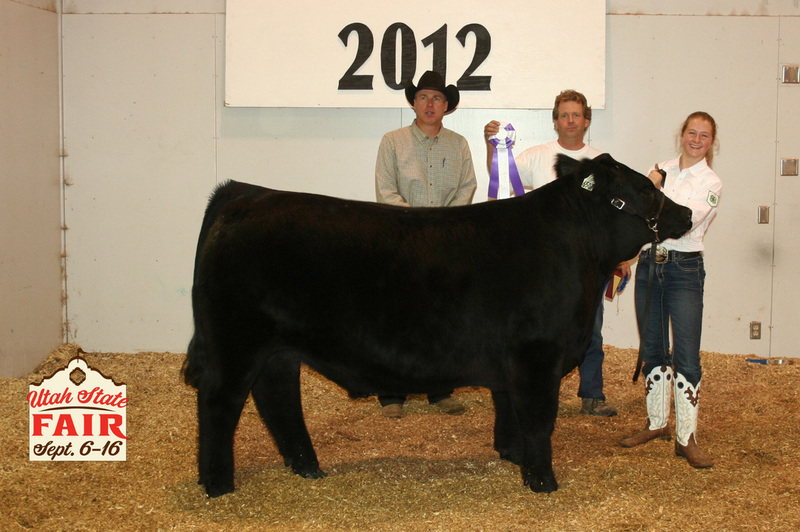 Congratulations Adams Family with your Reserve Champion Steer at the 2012 Cassia County Fair, ID. Congratulations Aaron Bowan with your fourth place overall market steer at the 2012 Salt Lake County Fair. 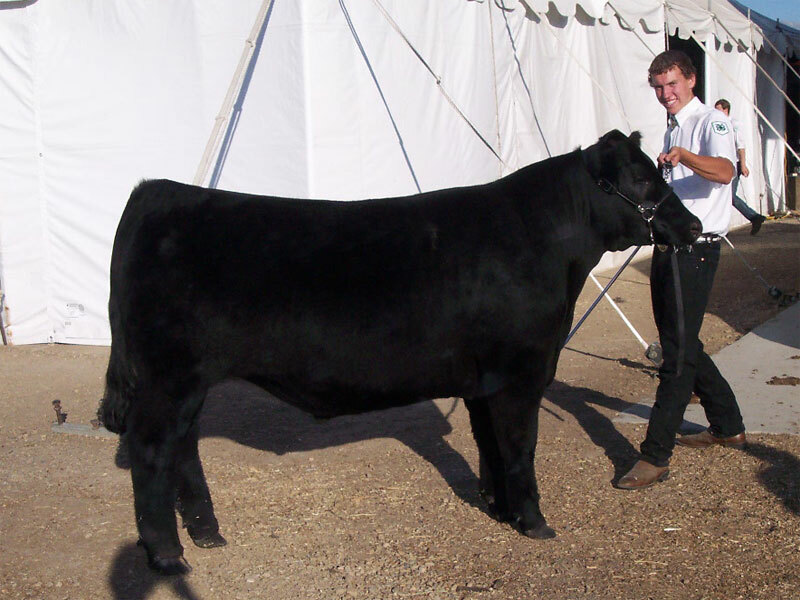 Congratulations Neil Anderson with your Reserve Champion Steer at the 2012 Power County Fair, ID. 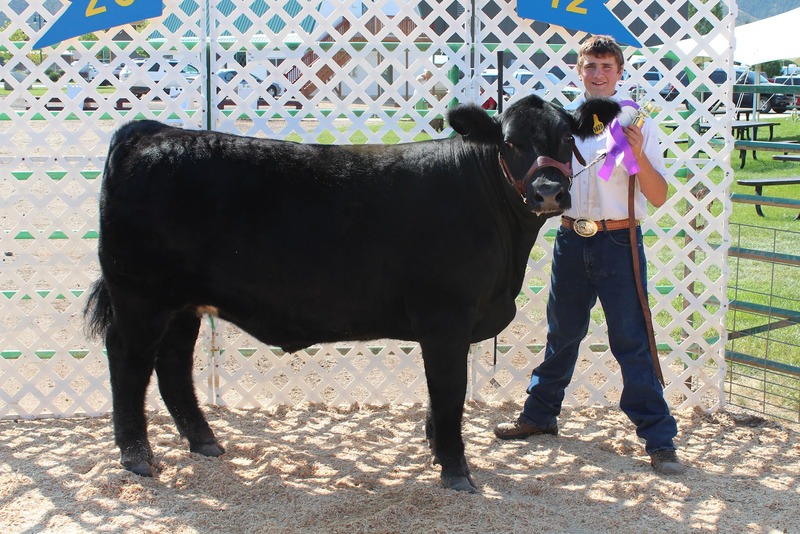 Congratulations Wyatt with your division champion and 4th place overall market steer at the 2012 Canyon County Fair, Idaho. 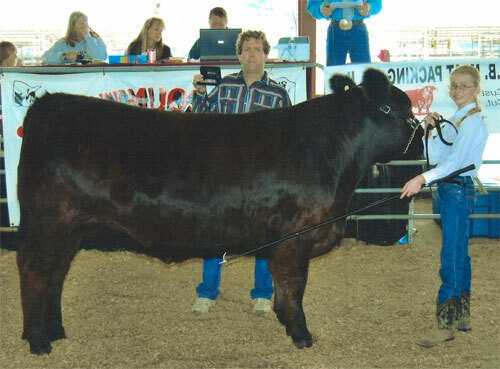 2012 Grand Champion Market Heifer, Millard County Jr. Livestock Show. 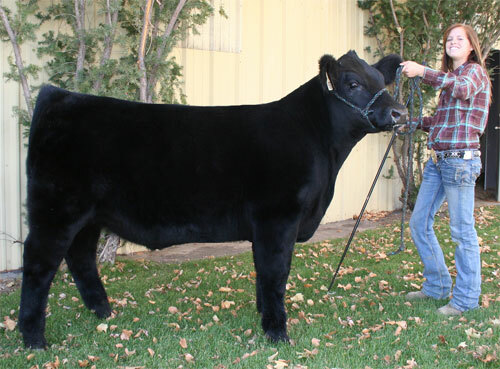 Sold in the 2011 Bear Lake Classic. 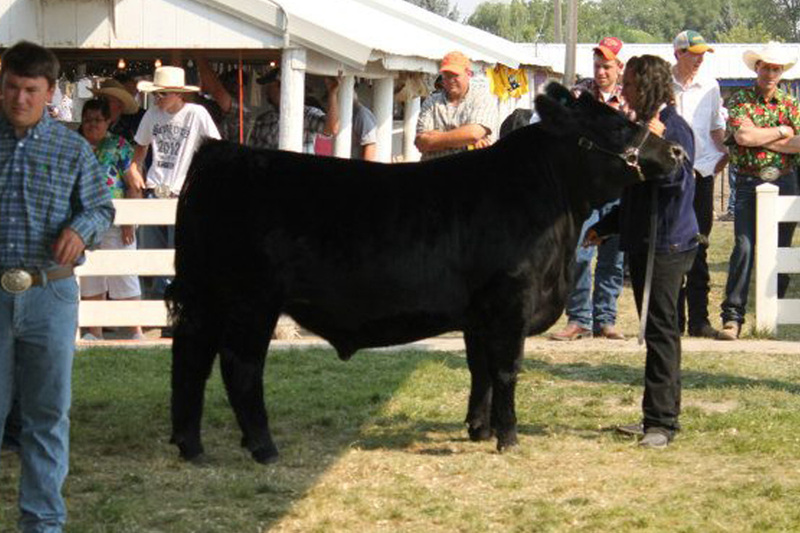 2012 Bear Lake County Fair - Third Place Market Steer. 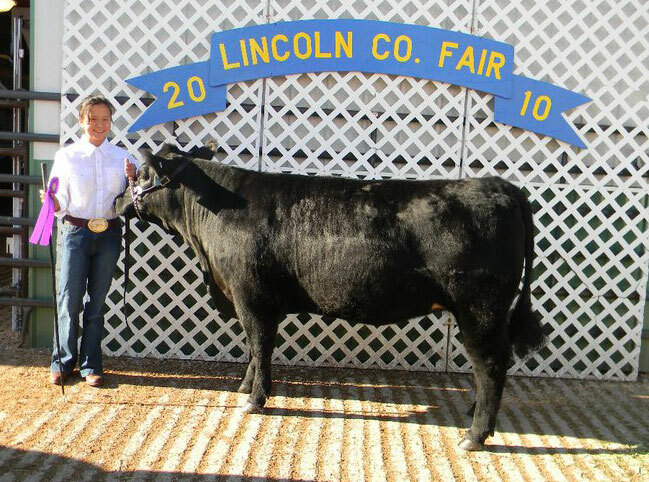 Grand Champion Steer at the 2012 Lincoln County Fair, Wyoming. 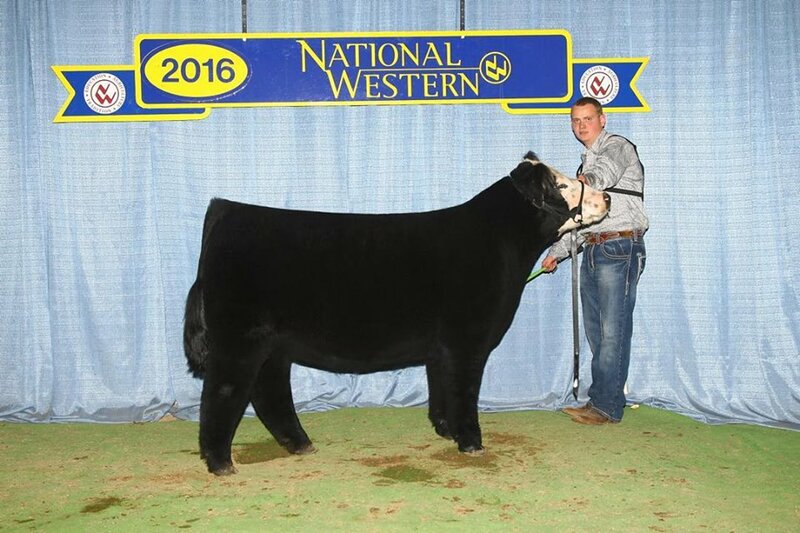 Steer sired by Naughty Pine. 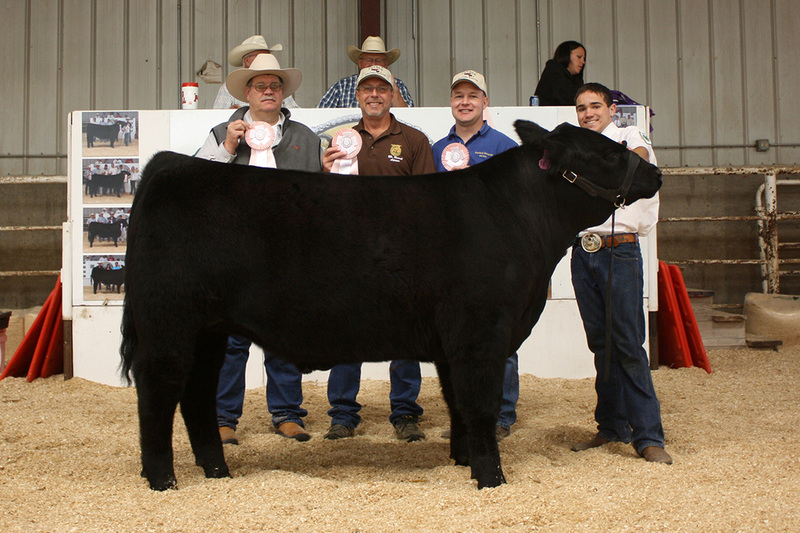 2012 Star Class - Fifth overall market steer. 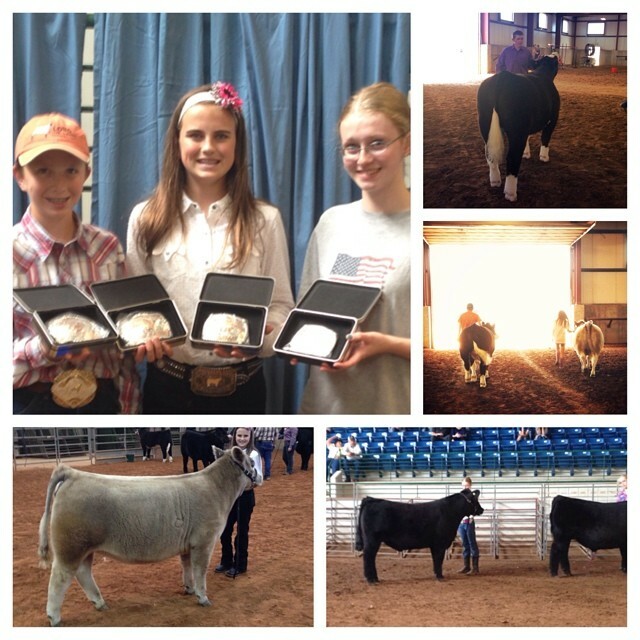 Millard County Jr. Livestock Show.